We have just enjoyed a few days of R & R. On Tuesday, we (I) drove the motorhome back to LaFeria to get a couple things fixed. We have 5 things I think that needed attention. We left there at 10:30 a.m. and went to Harlingen for Terry's blood work. We got done there at 11:30 and figured we would head to South Padre Island, since we hadn't gotten there this trip. Terry thought it was only about 25 miles (try 60), so off we went. We got over to the island and drove up and down the strip and then went to a county park and walked out onto the beach. It was beautiful out there. It was very windy and the surf was up, but it was lovely, just the same. 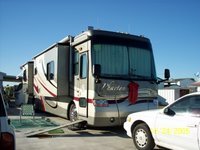 While we were there, the dealership called to tell us the motorhome was finished. It was 1:30. Just couldn't believe that. But it was done and we headed back. 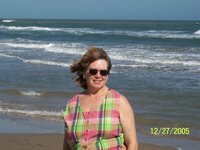 We stopped in Port Isabel and ate lunch, then back to Texas Trader and the motorhome. Mom and I have hit the pool a couple days this week. Such is life. The hot tub is great and it sure feels good to hop in the pool when it is in the 80's and the sun is hot. But I like it that way. . . I'm not complaining. Yesterday on our way back from town we saw the sign for Canyon Lakes RV Park. Earlier in the month we had tried to remember who it was we knew who was in another park around Mission with the word "Lakes" in the title. We weren't even sure which park. And we weren't sure who it was who had told us that, but we finally decided it was someone from the family reunion. As we brainstormed trying to figure out who it might be, we settled on James Taylor, a nephew of Terry's Dad's, although he was a year old than Henry. So we drove around Canyon Lakes but didn't find anyone who looked familiar. Terry decided to stop at the office and inquire and one guy in there said, "yeh, he's down on 105." So we drove on around. At that site there were a couple men sitting around talking and we stopped and asked for James Taylor. He was inside his rig, but they called him out and sure enough. . . that was "our" James Taylor. He and Mary Francis had just arrived the day before. Had we looked for them earlier, we would not have found them or known where they were. So we had a nice visit and then today, they drove over here to see our new motorhome. So we had another nice chat with them and got some pictures. We still have not gotten our plates which should be on their way. We are making plans to head out the day after they arrive, so we could be leaving anytime soon. Merry Christmas to all. May your day be filled be blessings as we rejoice in the reason for the season. 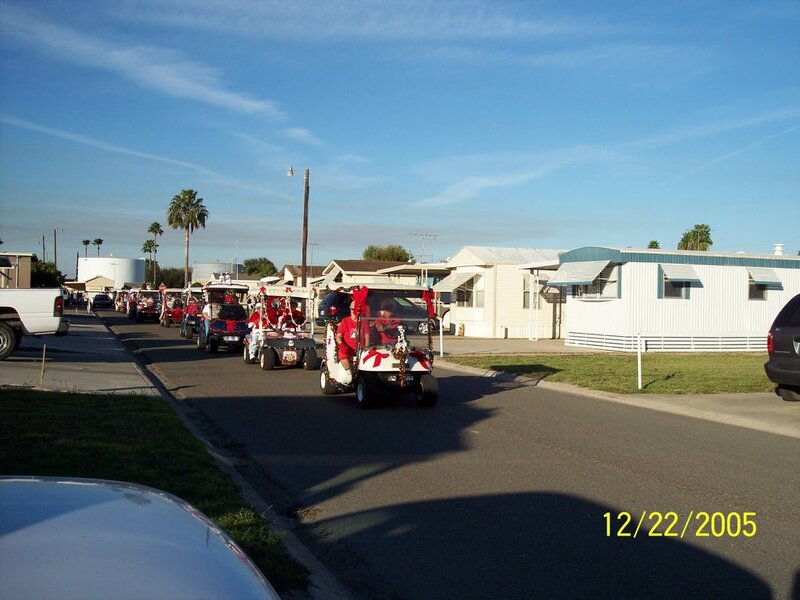 Yesterday we were treated to a golf cart Christmas parade from another park. Today we started out the day by going with Mom and Dad to church. They have an early service which I think is primarily populated by Winter Texans. Very nice. We got home and had plenty of time to fix dinner. I had invited Mom and Dad over for dinner today. That was rather brave since I am still just getting used to my convection/microwave but we managed to have enough good food. We had ham, mashed potatoes, green bean casserole, ham gravy, sweet potato casserole, cranberry salad, gingerale salad, dressing, rolls, a relish tray and pecan pie. Way too much food, but Mom and I aren't planning on cooking the rest of the week. We had planned on leaving tomorrow, but decided to wait here for our license plates to arrive from South Dakota. We are hoping they will come in another week. Tomorrow we are also getting ready to take the coach back to Texas Trader for a couple minor adjustments. They will do everything in one day and we will come back here. I think we are going to move to the other site we actually had rented for the month (we ended up staying on my parent's back lot at their request). We will have full hookups at that site and will be able to try the washer/dryer out. We have greatly enjoyed our time in the RGV and it is now warming up into the 80's during the day. Great pool weather and we have been there a couple times already. We have been looking at the weather through where we must pass to get to Quartzsite, and it is a bit cooler than here. It will be hard to leave this warm weather. We are thinking that we may just head directly to Quartzsite and not do much siteseeing in between as we had originally planned. Tonight we met some fellow Class members (Graduating Class of 2005) at Pepe's on the River for their "all you can eat shrimp" night. Dave and Yong are in the Rio Grande Valley for the month of December before heading to Casa Verde, Arizona, and possibly a stopover at the Quartzsite gathering. 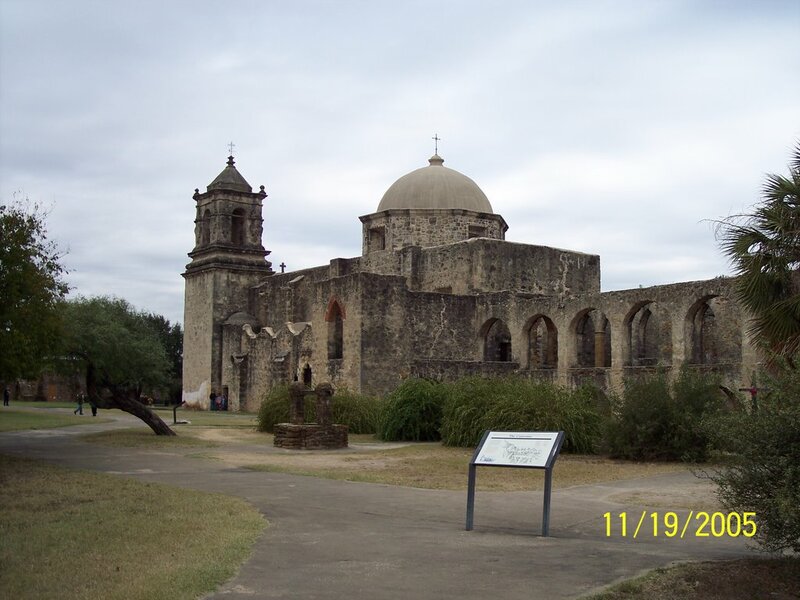 They are staying in a park in Donna, while we are at Mission, Texas. Pepe's is a restaurant of legend in the Mission/McAllen area. The original place we patronized years ago burned to the ground and while the owners said at the time they would not rebuild, it was eventually rebuilt. I think they are different owners, but then a 2nd Pepe's, Pepe's Backyard, was also established in the same area, side by side. It was great to share dinner with people who share the full-timing interests and we had a most enjoyable time. Good luck in your travels, Dave and Yong, and we hope to see you again down the road. I am done now with my Christmas shopping. If I had bought what I wanted when I first saw it, I would have been done about 2 weeks ago. Then when I went to get it, I couldn't find it. That's the way it goes. We also drove back to the RV dealer today and got the title which wasn't ready the other day. We will overnight the paperwork for our license plates to South Dakota, as we are legal residents there now. Then hopefully they will overnight the plates back to us here and we will be good to go. We are planning on staying here at Mom and Dad's until we get the plates. Don't know if we will have another good mail drop in the next week or so. 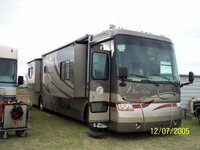 We also have an appointment to take the motorhome back to the dealer on the 27th for a couple minor items to fix. Nothing major, but things we want to have fixed before we leave for Quartzsite, aka the Big Q. So far, since we left home, we have accomplished everything we set out to do which is quite a feat. We have had a great time down here in the valley. 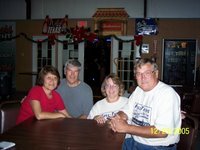 Friday we are meeting up with some other members of our "Graduating Class of 2005," an informal group of RV'ers who have gone full time in 2005. 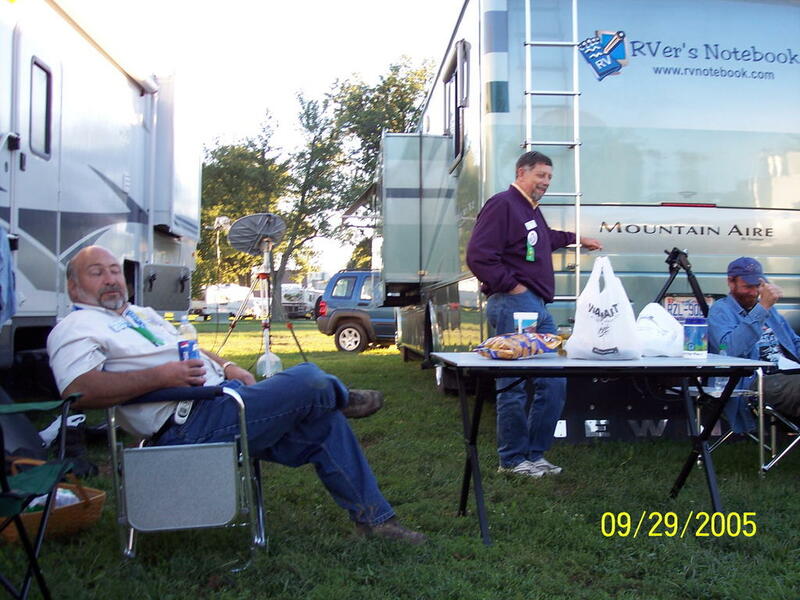 We post on RV.net and have become friends through our posts. We are meeting at Pepe's on the River, a really neat open-air club on the Rio Grande. My connection is slow, so I am trying to post a new picture of our rig every day. Man, this movin' stuff is for the birds. Ugh. We spent last Friday moving from one motorhome into the other. We only had what was in the coach, as we had emptied the basement compartments into Dad's little storage barn. The next day I spent straightening things up and going through stuff I had just "thrown" into the coach. When we were all done with that, and were proud of ourselves for having done such a good job, we realized we had not yet started hauling stuff out of the barn. The pile in there seemed to get bigger instead of smaller every time we looked at it. In fact, it was a bit depressing. Where DID we have room for that stuff in the old coach. We have so much more room in here and lots of storage, but we seem to be running out too quickly. So now we are sorting some stuff out that Dad has volunteered to take back to Indiana for us next spring. They take very little back and forth, so they have room in their motorhome for some extra junk. :-) Mom helped me sort through some stuff and I was able to make the decision to get by with less. Yesterday I pretty much finished up going through the stuff in the coach. I am still missing some things I cannot find, but I am hopeful they will turn up when this process is complete. Mom and Dad haven't seen a whole lot of us unless they come out here. It is so pleasant to sit in the Phaeton and relax and be comfortable. Terry is still trying to figure out the remotes. I think we have 5 or 6 of them. I'm not even going to go there. I am trying to learn to cook in a convection/microwave oven. So far, so good. At least I can read the manual. Today we are taking Mom and Dad and running over to Harlingen. The dogs are getting low on dog food. They eat a special kind because Neal (with his seizures) can't have any preservatives, etc. So we cannot find it everywhere. We are going to stop by and pick up our title for the motorhome since it wasn't ready the other day. Sorry I haven't been writing. It's not that we haven't been doing anything, but we have spent a lot of time just relaxing, enjoying the great weather and doing a little Christmas shopping. We took another trip down to Mexico. Probably will be the last time we go this trip. We go early in the morning and by 11:00 it starts getting crowded. Mom and Dad say that's the time to leave, and we are usually ready to go too. I bought a manger scene made of pewter. It is kind of hard to describe. It is all one piece with the figures lined up. The stable scene is in the middle. I had not brought a manger scene with me and this one is compact and fits in the motorhome nicely. I haven't been posting pictures because my connection is not very fast. I have tried a couple times, but it just stalls. The big news we have is that we have a new home! We drove it home yesterday. We have been looking since we left home. The rig we had, while very nice, was not a fulltiming coach and we just took our time looking everywhere we happened to be. We checked a couple dealers out one day and when we left the last one, we had put a deposit down on one. We had been looking at Tiffin or Newmar for manufacturers. We bought a Tiffin Phaeton. This dealer was really looking to sell and we were looking to buy and we were able to buy a new one. This one is a diesel as opposed to the gas one we traded in. More power and more storage. It has four slides and it is just like a small apartment. It is quite comfortable. We took delivery yesterday, Friday, and spent all day at the dealership. We had the entire basement of the other motorhome emptied and it still took us 4 hours to transfer everything over to the new one. By the time we were done, I could hardly walk. The sciatica in my back has really flared. We had the coaches facing each other with a walkboard in between so we didn't have to step out of one into the other, we just walked across the gangway. It was an exhausting day. I didn't feel much better today, but pain pills help. Today Mom and I spent a lot of time unloading cabinets and reloading them. I still have a lot of changes to make and we have all the stuff we carried in the basement of the old one to move over. It is in Dad's little barn. Tonight we went out and I bought some throw rugs and runners. We have a lot of laminated flooring in this coach which is really nice since we have the dogs. Well, I am too tired to stay awake, so I will try and send a picture with this then quit. Life in the "not so fast" lane! We have just been hangin' out here in Mission with Mom and Dad. Sleep in every day, drive the golf cart around, take naps, eat . . . It's tough. Our Wheaten Scottie, Neal, started having seizures again the other day. Had about 5 in 12 hours. Kinda scarey as we thought we had them well controlled. Don't know what triggered them, and we were totally surprised by it. I upped his one med and then started with a larger dose to get them stopped. Now I will probably back off a little, but probably keep it a little elevated. Thank goodness our vet has instructed me pretty thoroughly on what to do when this happens. It's truly frightening, but I am on a forum for epi-dogs and one of the members has seizures herself. She said she is in a stupor too afterwards, but they are not painful and she doesn't remember them, so she assures us we shouldn't worry about that with the dogs. He's getting back to his normal self now and he and Bailey are back sleeping in the same enclosure. We separate them when Neal has trouble as we don't want Bailey to get in his way. Today they had a craft sale in the hall and "patio" sales, not unlike a garage sale, but no one here has a garage. Hah. Didn't find anything I need. The weather has turned cold. It was cold last night and it rained. Down to about 36 degrees. Today it got up to 48 and tomorrow it will be back in the 50's. Then Monday back in the 70's. Sure is a lot better than shoveling snow. Down in the Valley. . .
Rio Grande Valley, that is. Hey, what's not to like? It is 78 degrees, yesterday was 90. A breeze all the time, cool nights and sunny days. Does it get any better than this? Just been hangin' out with Mom and Dad. Mom's had a cold, so she's trying to keep from giving it to the rest of us. Dad and Terry have been adjusting the little barn doors so Dad can put the golf cart in there when they leave for the summer. The little cart is a lot of fun. The dogs have taken turns going with me for rides. They seem to enjoy looking at the scenery. We just go around the park and then sometimes we sneak into one of the neighboring parks. More and more Christmas decorations are going up. We have started doing our walk at night. Very pleasant then and don't have to worry about getting back to start something else. By walking at night we are able to see what new decorations have gone up since the previous night. It should really be lit up as we close in on the holidays. Yesterday Terry and I went to the big flea market at Donna. I guess I'm spoiled by the Shipshewana Flea Market as everything else pales in comparison, but I was able to find a couple things I had wanted. Today Terry and Dad are finishing up the latches on the barn and I have been doing some reading. Ah, the life of the retired. This is leisure living at its best. We read the headlines of the hometown newspapers daily and see snow on the ground back there. Pretty to look at, but I am glad we are here in our shorts and t-shirts. We took a little trip down to Mexico today, to the border town of Progresso. Some people say you don't get the true flavor of Mexico in the little border towns, but they are quite interesting and fun anyway. We have been there probably about 4 or 5 times and it was neat to see how it had changed. We didn't buy too much, after all, we have NO ROOM in the motorhome for anything else. As it is, if we buy something, we must throw something away. I did buy a yard sign that you slip letters into, so our site now has our name at the front. Not sure what we are going to do tomorrow. I know Terry has to have blood work done in the morning, so we will go from there. We made it to the Valley around noon today. 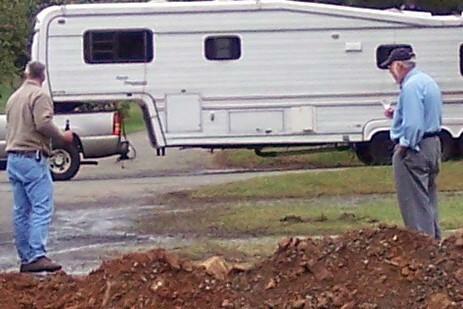 Mom and Dad were waiting on us and we got parked and set up. We are going to be moving in another day or two. The site Mom and Dad had picked for us is not ready till the 1st, so we are on Dad's back lot. It is directly behind their spot, but it doesn't have full hookups, so we are going to be on another full service site for the month. The dogs are enjoying the attention Grandma and Grandpa give them and especially the walks. Bailey will make up to anyone who will take him on a walk, you just have to be prepared to go where HE wants to go. He is a Scottie, after all. Mom and Dad have a new golf cart and it is really sweet. We have been busy taking rides and looking at all the other rigs in here. There are a couple empty sites, but it is rather full. I guess it was still pretty empty until about 2 weeks ago. I have met a lot of new people. It is good to be here with Mom and Dad. It's nice to have our own place, too. The weather is upper 70's-80's with lows in the 50's. Perfect weather. We made plans to go to Mexico on Wednesday. We go to Progresso. That is always fun. 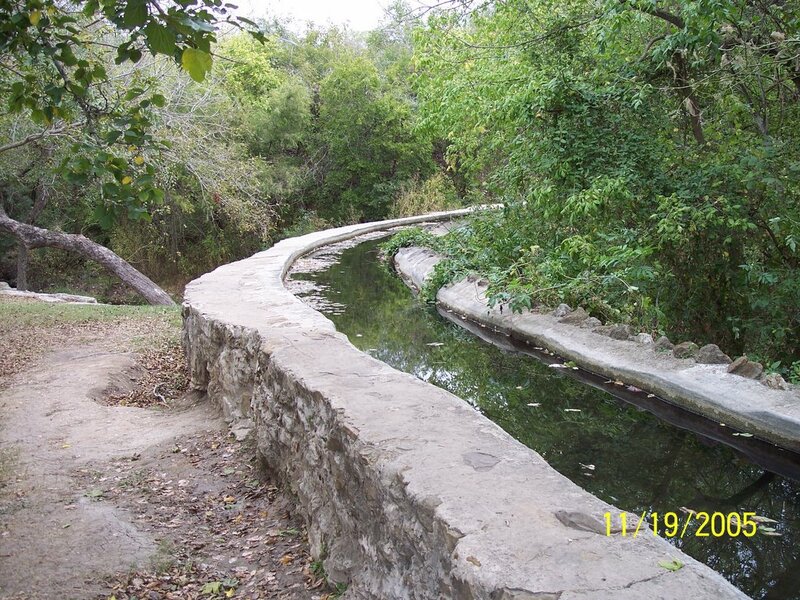 We are camped just outside the German town of Fredericksburg, Texas, at the Lady Bird Johnson Municipal Park. Very nice place, right next to an airport. But before I fill you in on Fredericksburg, I need to catch everyone up on what we've been doing. We have not had decent internet connections which is why I have been negligent in posting. 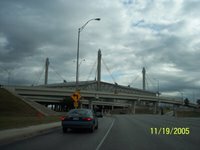 We left San Antonio on Tuesday morning before Thanksgiving. We drove to Hondo,Texas, to "The Lone Star Corral," which is the Escapees park. It is very nice and the people, of course, were super. We signed up for the Thanksgiving Day dinner. On Wednesday, we went to Bandera, Texas, which is the cowboy capital of the world. It is a quaint, rather unspoiled western town and we spent some time just browsing around. When we got back home, I fixed the dishes I was taking to the Thanksgiving dinner and we sat at our campsite and visited with the neighbors. 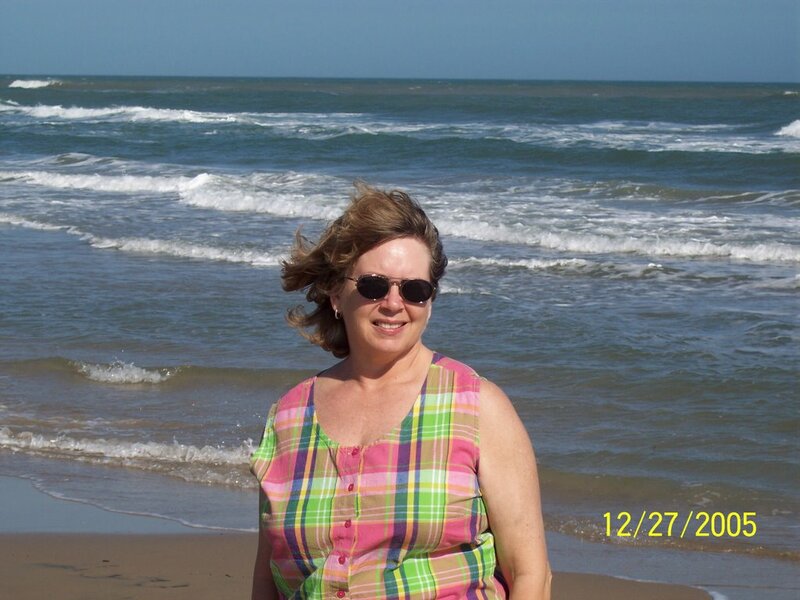 Thursday we again visited and enjoyed the warmth of Texas in late November. It was in the 80's and sunny. We went to the clubhouse and sat with people we had met and visited with earlier. It was a very enjoyable dinner. They had smoked turkeys in outdoor cookers and it was very good. We left Hondo Friday morning and drove up here to Fredericksburg. We almost decided not to come because the forecast was calling for rain, but we have wanted to see this town for a couple years. It is in the Hill Country in Texas and the town and the surrounding area is very interesting. There are hills, and because of that, they have some cooler weather which means they actually have some color changes here. It is just now however, the time when the color changes, so we are getting to see it. It isn't on the same scale as we have it in the east, but it is lovely. We drove into Fredericksburg yesterday afternoon and walked around a little, then went back after dark and took some pictures of the lights. We made plans to go in early this morning and start with the shops. It is a large town and there are a lot of shops and a couple museums. However, we had a very loud and wet thunderstorm last night. The dogs got us up at 1:45. At first, I thought it was morning and they just wanted out, but when I got into the living room, I could see the lightning and I knew what the problem was. So I got a pillow and a blanket, turned the TV on and a light, made sure the blinds were down and stayed with the dogs. Bailey climbed up on the couch with me. He is okay there as long as he is touching me. Then I have to throw an arm over Neal on the floor and he was content also when I was touching him. Just doesn't make for too comfortable a situation for me. Terry got up at 6:30, and the storm was pretty much over (it was a LONG storm) so I went back to the comfort of the bed to nurse my sore back. Later when I got up we headed into town and spent the day in the shops and museums. There were a lot of people. The streets and shops were very crowded. We shared a table for lunch with two ladies from San Antonio. We had a nice chat with them. I think we are going to leave here tomorrow, but I can't say where we are going. We are headed for the valley, but how we are going to get there is still a mystery. Terry changes his mind every day or so. 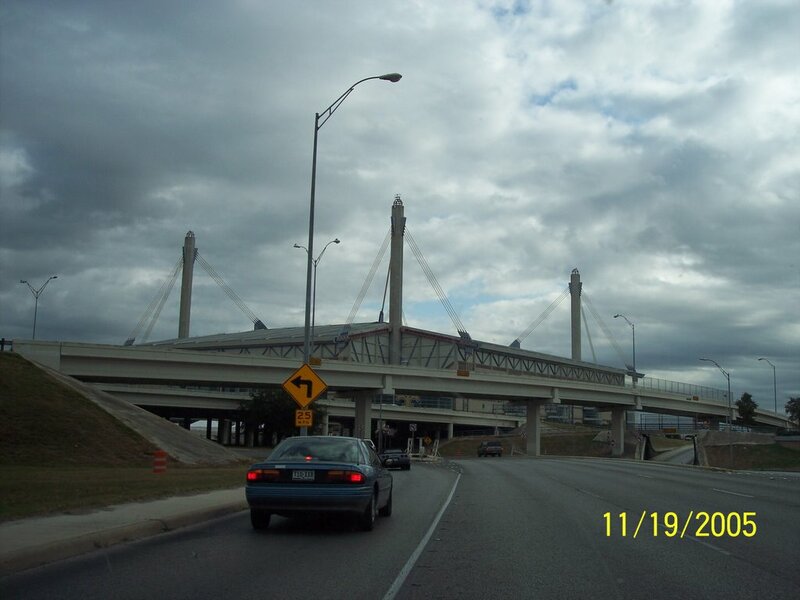 We started the day by taking the beltway around the city of San Antonio. It seems that the area around us is rather depressed and we wanted to see what the rest of the town looked like. The western and northern sections of the town are much more built up, particularly around the air bases. That area looks more like I was expecting. 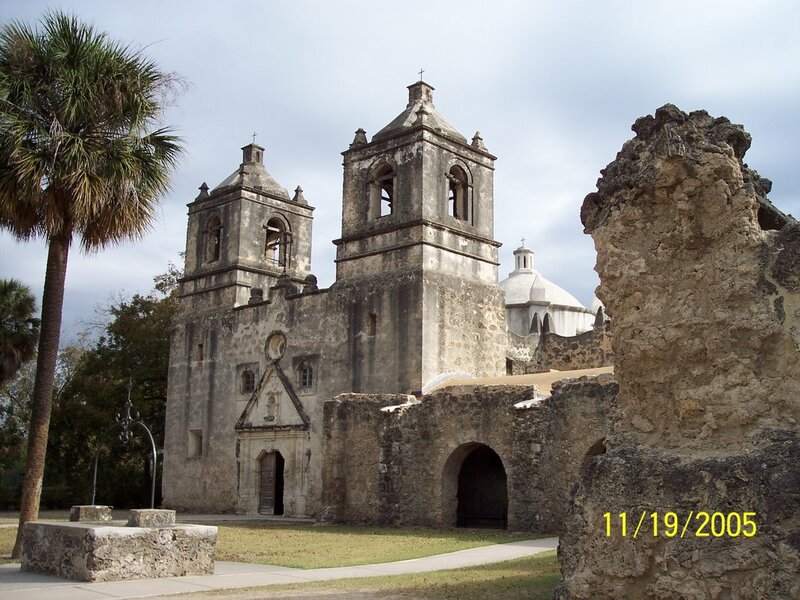 When we got back around to the northeast, we went on to New Braunfels, a German community. We did take a look at the Schlitterbahn and it looks like great fun, but it is too chilly today to do that. This is a water park, and there are several different types of water rides. We went back to the motorhome and sat with the boyz for a bit before heading back into the city. 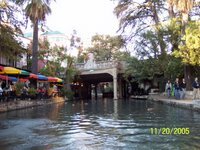 We visited the Alamo this time and then walked down to the River Walk and took the cruise along the River Walk. It was very nice and we had a good guide. We walked along the river again and it really is beautiful. Too bad we won't be here Friday when they have their river parade and lighting of the Christmas lights along the Riverwalk. But I'm sure we will get to see a lot of Christmas lights wherever we happen to be. We started out the morning by taking in the Missions of San Antonio. I must confess, I didn't realize there were four in addition to the Alamo. 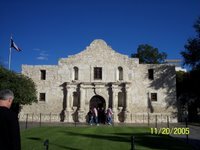 We have been to the Alamo before and it is hard to imagine the Alamo during the 1700's when it was a flourishing complex. It is now nestled into a downtown square with buildings around it. The other missions, however, are not like that. And while they have a lot less land around them than they once did, they are situated on enough ground for one to imagine how it was 200+ years ago. We spent quite a bit of time at the first two but they were the most impressive. The last two are smaller and there is not as much reconstruction. But they are impressive and stand as a testament to an earlier time when the Spanish worked hard to convert the Indians they found here. We also went to see a portion of the aqueduct which was a water supply from the San Antonio River to one of the Missions. After we finished with the Missions, we went downtown to the Mercado, the Mexican market. There are a couple buildings and then an outdoor market. We had been here years ago with the kids when we brought them down to see Mom and Dad at Christmas and it was much as I had remembered it. We left our campground in Winnie, Texas, with yours truly at the wheel. We were approaching Houston on the east side at 9:30 and about 40 minutes later, we were safely through the city and rolling westbound. Never would have believed it. It was not too bad, if you consider running 65 mph with 18-wheelers running right along next to you. That was a little nerve-racking, but it all went smoothly. We stopped at an RV dealer on west of Houston. They were having a grand opening and had a Camping World there also. 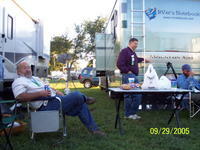 We went in, won some free prizes, bought some stuff, and had lunch, courtesy of Camping World. Thanks, Camping World. Got back in the motorhome and continued to roll west, stopping at the KOA in San Antonio and planning on staying here for the next 4 nights. We went downtown after supper tonight and went to the Riverwalk Mall and strolled along the riverwalk. I want to take a boat ride one night we are here. Plan to do some sightseeing while we are here and also look at new motorhomes. So we shall have fun. Then we head for the Hill Country. I have a better connection tonight, so I am going to try and add some pictures. I am going to put them back on the days they belong, so you will have to scroll through to see them. We crossed the line into Texas today. Have settled in to a little camp right off the interstate at Winnie, Texas. Planned on staying in Beaumont, but all the camps were filled with FEMA people or relocated evacuees, so we came further west. 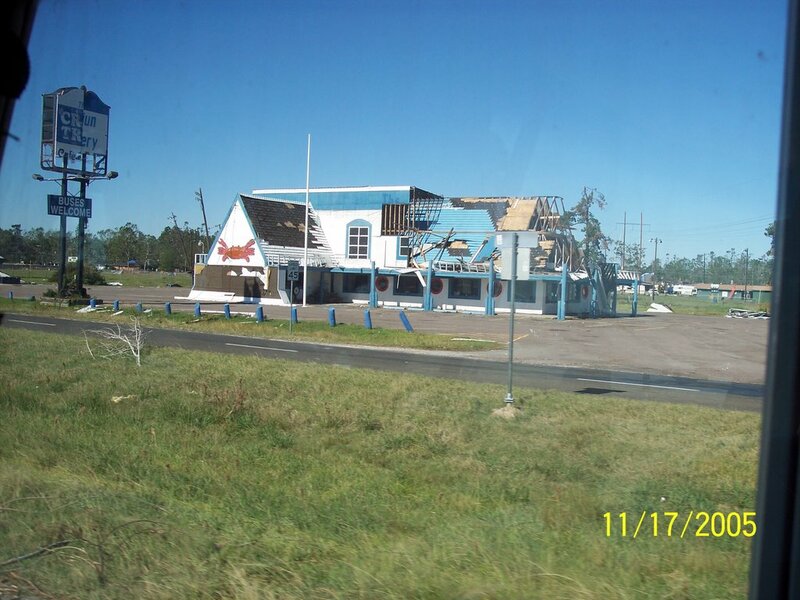 As we passed through St. Charles, Louisiana, earlier we again saw some major destruction from Hurricane Rita. It was quite widespread. 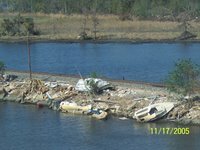 At one point we were crossing a bridge over a river and there was a railroad causeway on the right against which there were dozens of boats crashed up onto the causeway. There were a lot of blue roofs, signs and billboards down and they are currently on the interstate removing and mulching trees that were blown down or uprooted. Tomorrow we plan on heading toward Hondo where we hope to spend Thanksgiving. Terry has thought all along that Thanksgiving was two weeks away, so we have had to rethink our strategy. That's what nice about being retired, though. . . it just doesn't matter! We did go back to the casino last night. Didn't have as much luck. I was a little upset at losing my $5 within 20 minutes, so I switched machines and won it back. Then I cashed out and we left. Hah. 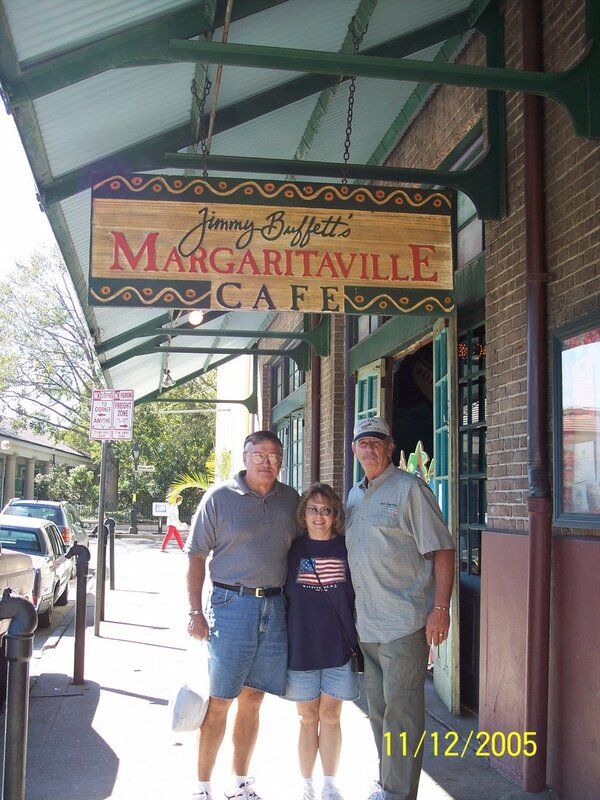 We left Gary and Jo's yesterday morning and drove up to Marksville, Louisiana. We weren't sure what kind of weather we were going to run into, because the predictions including storms. Since they ran from the Gulf Coast up through the Ohio Valley, there wasn't a way to escape it, so we got here and hunkered down for the big event. Boy did it rain. The wind blew, lots of thunder and lightning. We ended up staying in the motorhome until the worst was over so the dogs wouldn't get scared. After we got up here, the boyz both got baths. Neal was less than excited about that, but Bailey thought it was pretty cool. We are at about the nicest campground we have been to. The streets are all paved as well as the sites and we have full hookups. The sites are level with concrete picnic tables. Very comfortable, easy to set up, etc. 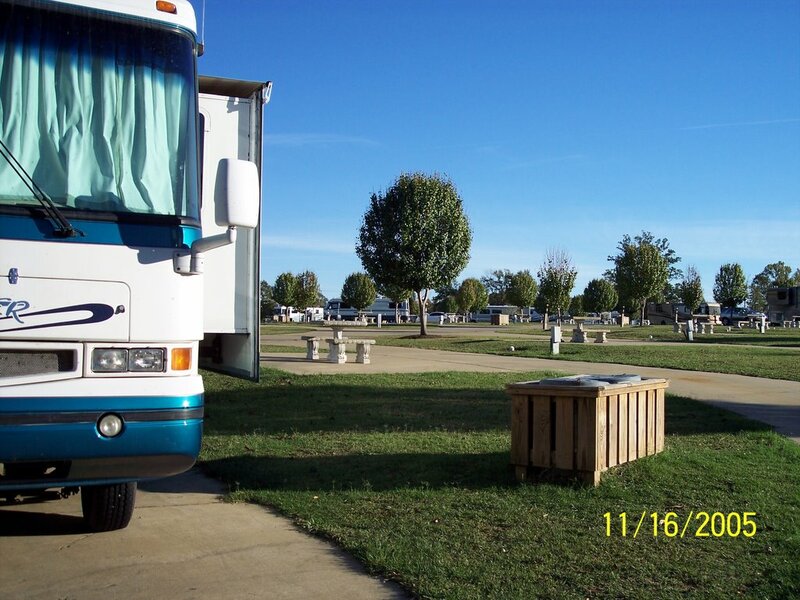 The best part is that it is a Passport America park, so we are camping for about $6.42 a night! They have little light switches on the post and you flip that on and the casino bus will come to your site and pick you up. Hah! How's that for service. Last night after the storm subsided, we hopped on the bus and went to the casino. Terry won $52 at his first machine, so we went and ate prime rib dinner in their restaurant. Then we hit some other machines and he won another $26. I didn't do any good, but I get good at playing my $1. . . it kept me entertained for quite a while. We are staying here for another night before rolling toward Texas. We arrived in Zachary, Louisiana, on Friday and are staying in Gary and Jo's back yard. 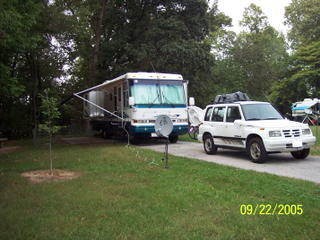 They have a really large yard and we backed the rig up to the barn and plugged in there. The weather has been warm during the day and cool at night, so it has been absolutely perfect. Warm enough in the day to be comfortable, but air conditioning is not needed. Yesterday Gary drove us into New Orleans. This was a really special treat. Our original plan was to stay in a state park near New Orleans and sightsee from there, but that camp is closed to the public due to Hurricane Katrina. So we scrapped plans to go. 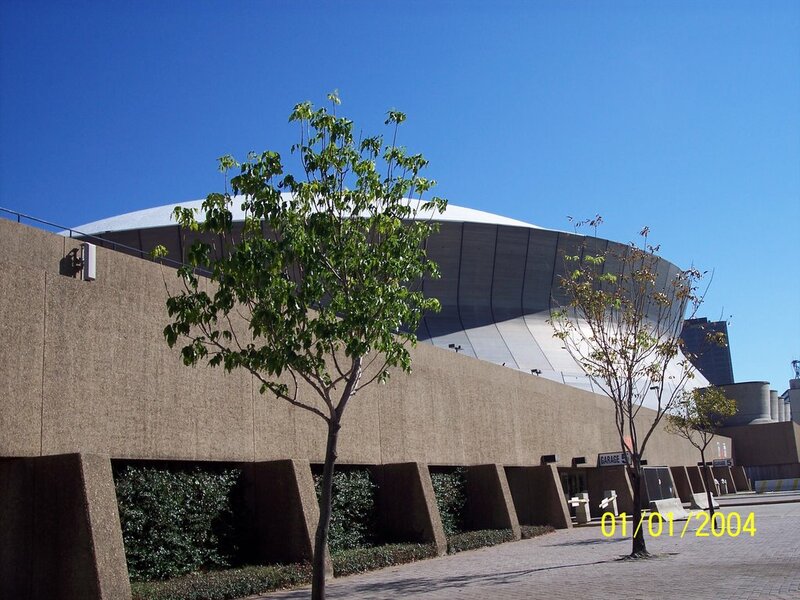 But Gary took us down there and we drove in right next to the SuperDome. 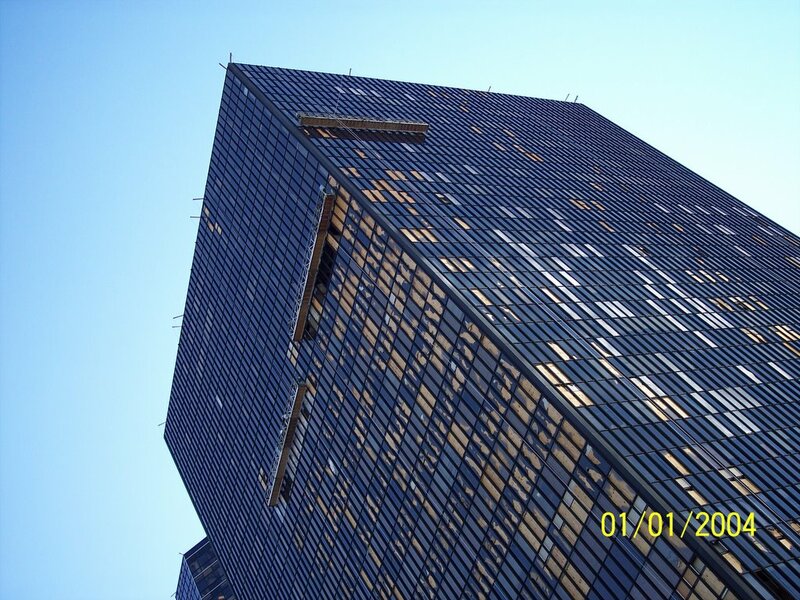 Other than debris around it, you wouldn't know anything had happened to it. The roof appears repaired, but Gary said the estimates to repair it are astromical. Buildings right next to it are missing a lot of windows. . 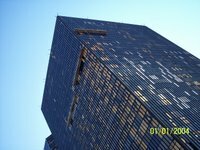 They are repairing them, but a couple of the buildings are nothing but glass panes and it will take a long time to get them all replaced. We drove on down and parked and walked to the Cafe Demunde (sp?) and had beignets and coffee. They are pastries topped with powdered sugar. I guess it is a tradition that people coming into the city have to go there first and have their treat before moving on. We went into the French Quarter and visited the flea market first, then strolled into the narrow streets with balconies overhead. I had never been to New Orleans and I was very interested in taking in as much as I could. I took a lot of pictures, and will post here when I have a good connection, so check back later. A lot of businesses were not open, but there were enough places open to shop and buy some souveniers. We made it to the world famous Bourbon Street and we drove in on Canal Street. Some of the really "funky" places were open for business, but we didn't bother going in there. 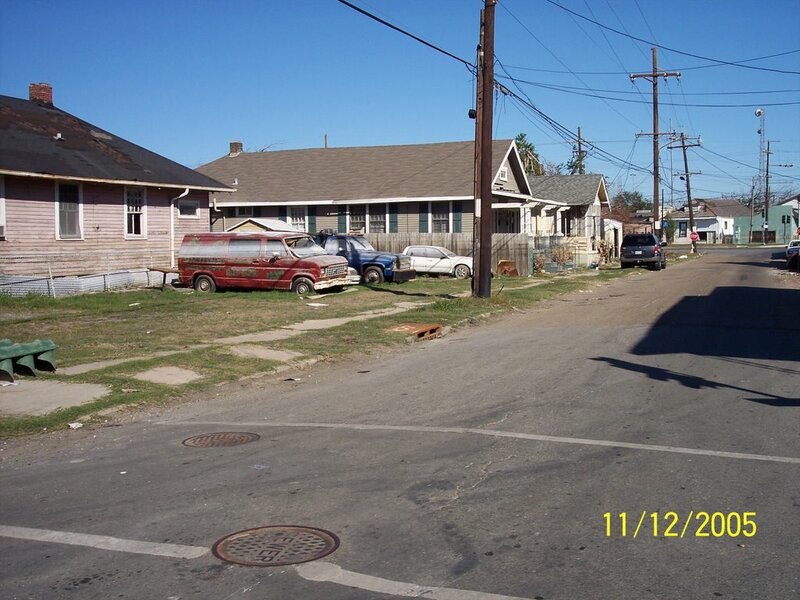 When we left there, he took us out through the lower 9th ward, which you may remember was flooded the worst when the levees broke. We saw water marks 6-8 feet, which was still not the worst of it. So much trash in the streets. Not a lot of people around, but those that were there appeared to be cleaning out their houses. There is still no power to the area and businesses like McDonalds and Winn-Dixie's are not open. Nothing is open. We saw the marks the workers sprayed on the buildings indicating the number of live/dead occupants as well as pets they found when they entered after the storm. 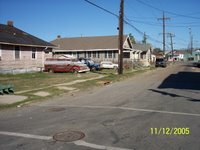 There was so much trash and the houses were so bad, cars in the streets were covered in mud and salt from the seawater. It truly was like driving through a landfill. 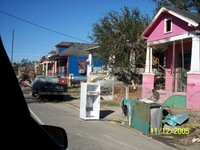 Gary said they have been hauling trash out and even though it was piled high in the middle of the streets and boulevards, he said truckloads have already been hauled out. We continued out and were going to cross Lake Ponchatrain on the I-10 bridge (1 lane open), but there was a horrendous traffic jam. We sat and waited for over an hour before cutting through the median and going back the other way. Gary said there had to have been an accident. He is currently delivering trailers and supplies for FEMA into New Orleans, so he has seen the worst and was a good guide. Oh, I forgot that they are taking all the cars that were damaged from the flood and putting them under the bridge overpasses in the city where they will pick them up. They are going to scrap them all out. Cars that are flooded and in water for more than a few hours will be worthless except for scrap because of the salt water rust and corrosion. Captain Gary, I might add, is a charter fishing captain. 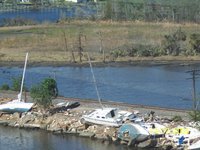 He is not chartering right now because his fish camp was wiped out during Hurricanes Katrina and Rita, so he is working for FEMA at the present time. Today we had a shorter day and went to another flea market in Gonzales, Louisiana. 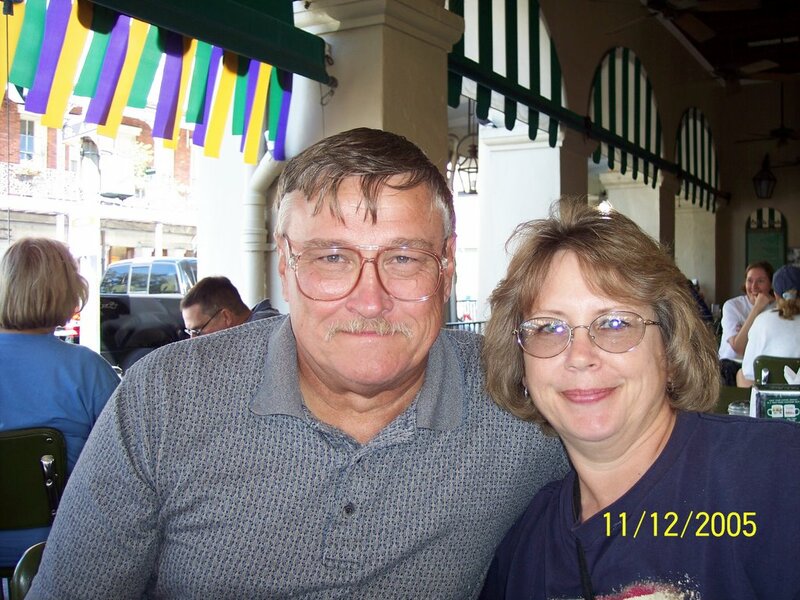 Tomorrow Terry and I are going out on our own to St. Francisville to see some antebellum homes. It has been an interesting couple of days here. Tonight Gary's son Chris, came back from St. Charles. He has started a new job as an investigator for the state attorney general. We had not seen him since he was a young boy. He is staying with Gary and Jo until he is able to relocate his family here. 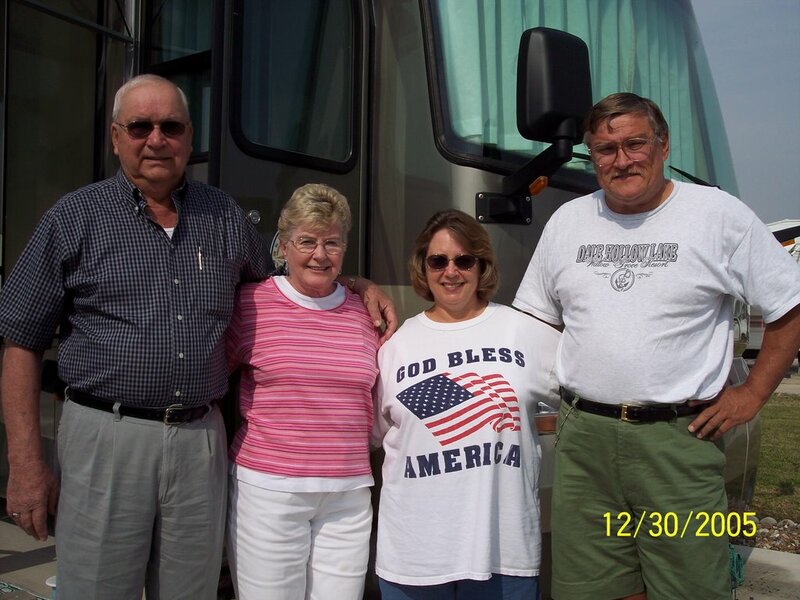 After leaving Coach Care, we drove to Perry, Florida. There is a motel there with a campground out back which we have used before. It was a good stopping point and one of the few times we have stopped after dark. We try not to do that anymore, but since we got out of CoachCare so quickly, we decided to get a few miles down the road. Last night then, we spent at Holt, Florida. Nothing of any interest there, just a reasonably priced park at the right time. Today then we rolled into Rainbow Plantation, which is an Escapees Park at Summerdale Alabama. We noticed on the Escapees forum then that some members of our "Graduating Class of 2005" group are here also. They were not at their rig when Terry went down, but we will try to see them before we leave tomorrow. We drove down to Gulf Shores. 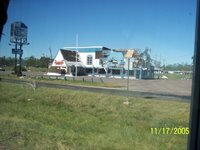 We were there last Christmas on our way south and saw all the destruction from Hurricane Ivan, I think. 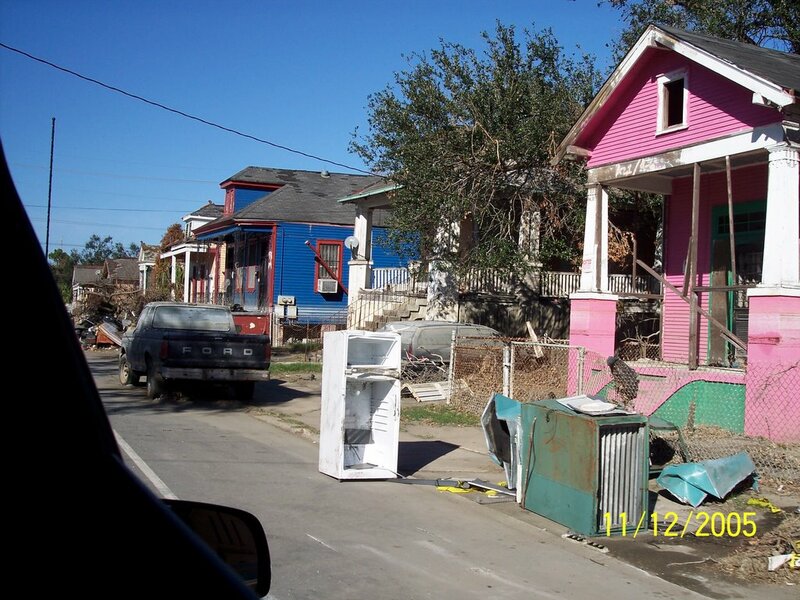 There is no doubt they have made great strides in rebuilding the area, but there is much more work to do. It did look like most of the hotels were in business at least to a small degree and a lot of the restaurants and tourist traps are open again. And a big thumbs up! Had our appointment scheduled for noon. Rolled in there at 11:45 and within a few minutes two techies were swarming over the coach. Within about 20 minutes they had the generator running. It was a loose connection on a board under the hood. Terry thought he had checked it, but it is hard to get to. They went ahead and tuned it up and then did the coach service. We were back on the road at 4:00 and the generator is running great. So glad we took time to get that done because now if we want to stop during the day somewhere, we can run the coach air and keep the boyz cool. So we are now in Perry, Florida, spending the night at a campground behind a motel. 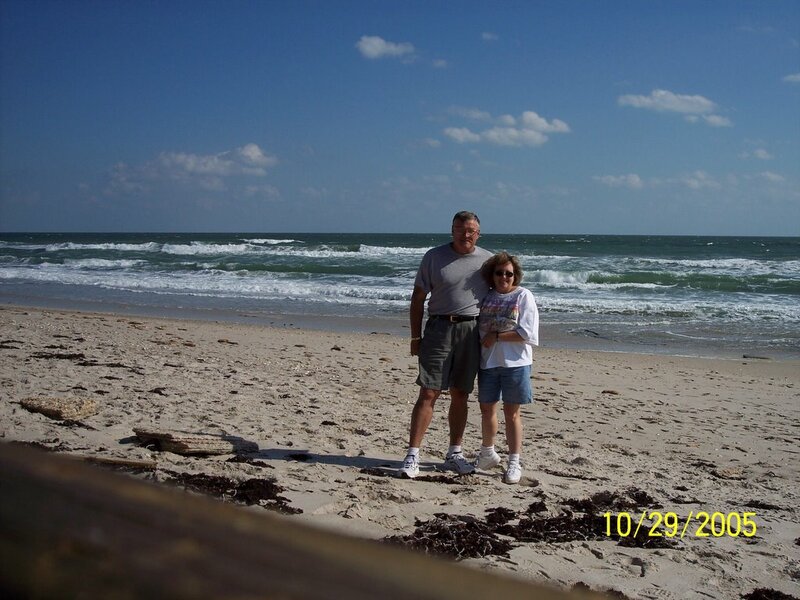 We have been here a couple times before on our many treks to Florida. Tomorrow we head toward Baton Rouge. We are going north instead of straight west because we want to go enough inland to miss the damage from Katrina. They don't need any more people coming in there. They said today that Ft. Lauderdale schools were back in session. While at Tampa, we ran into a family who was there in the campground because they had been without power for 2 weeks. The weather has been great. In the 80's during the day and cool at night, but not enough to need a coat or anything. We are here in Bushnell, Florida. Just hanging out. We are leaving in the morning and going to Ocala. We have an appointment there at Coach Care for our generator and an oil change. Hopefully they will be able to get it all done and have us back on the road. We will probably stay there at least tomorrow night. 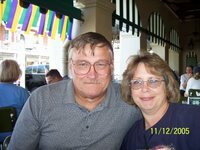 Then we will start making our way to Louisiana to see Terry's cousin before heading for Texas to spend a few weeks with Mom and Dad. Today we went to the world famous Webster flea market. I believe you could get all the fleas you wanted there. I think Auburndale is a better Florida flea market, but neither one comes close to Shipshewana. But it was an opportunity to get our walk in and we did just that. We are looking for a stroller for Neal, our handicapped Scottie. We need to get Bailey out to exercise as he needs some more activity. Neal cannot walk well, so if we don't want to leave him behind, we need to find some sort of stroller for him. We did buy some of those plastic shoes. . . hard to describe. We have been wanting something to slip on when the dogs want out and there is dew on the grass. Then we can slip them off when we come back in. We went up to the ice cream social last evening and met a couple. . . she was from Anderson, Indiana. They live now near here in Florida and came down here for a rally. There are 2 rallies being held in this park right now. They are Escapee rallies, so we fit right in. Tomorrow will be a long day. We have the dog park picked out and the dog stores to take the boyz too while we are waiting on the coach to get done. Still at Lazy Days RV Center looking around, enjoying the free breakfast and free lunch. Hah. Today our new friends across the road in the campground took us into Tampa. . . actually down to Clearwater to look at Newmar's at the dealer where they bought their Dutch Star. We did find one we liked, but aren't done looking. The weather is just beautiful--sunny and about 82 degrees. Been thinking that if we were at home, Terry would be inside all the time. When we got back I walked the dogs while Terry took a nap. That is what retirement is all about, isn't it? 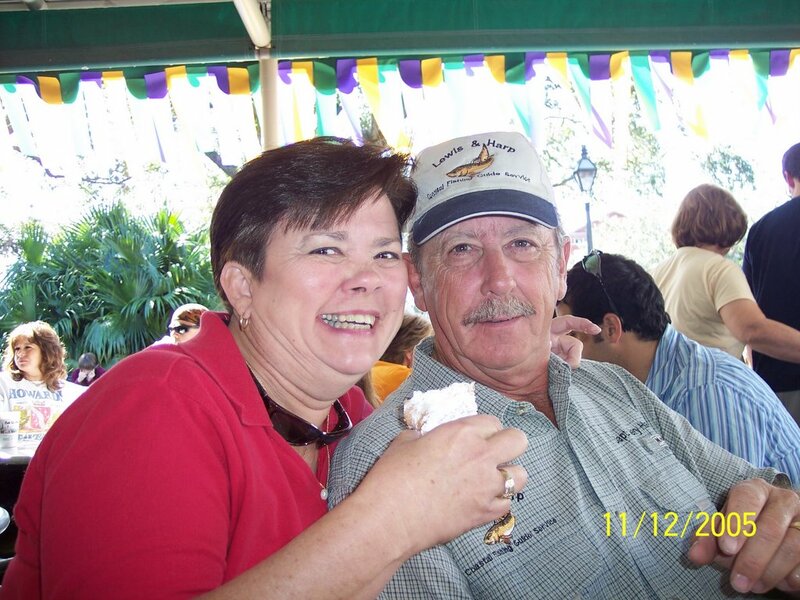 We are leaving here tomorrow and headed up to Bushnell, Florida, to the Escapees Park. We have been there before and always enjoy ourselves. Terry wants to take in the Webster Flea Market there on Monday. We have an appointment on Tuesday at Coach Care in Ocala. Time to get the generator fixed. It has worked since we got this coach and the day we left on our great full-timing adventure, it would not start. Imagine that. Terry has called Damon and Onan and done everything they asked him to, but it just will not do anything. So, since we are having warm weather, we want it fixed. 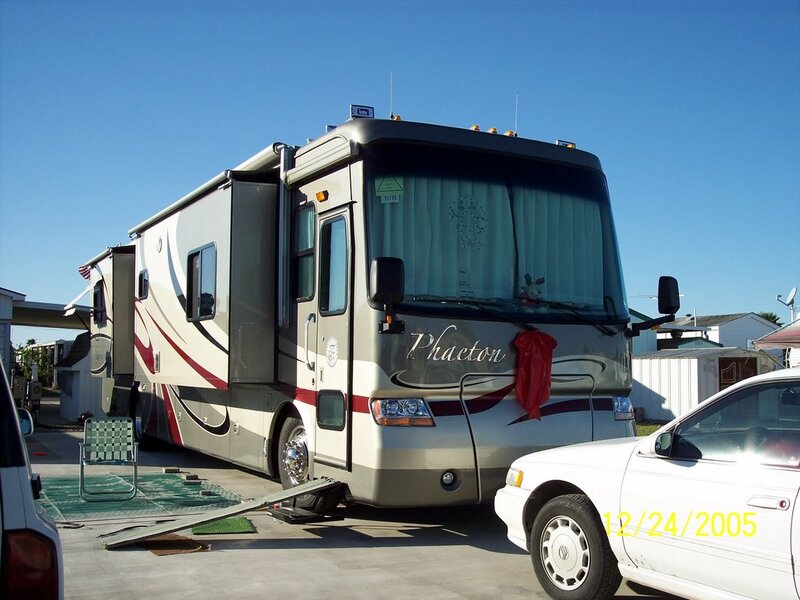 We cannot run the coach air conditioners while traveling as they require the generator. That means if we want to stop and look at something, we can't because the "boyz" will get overheated. Bailey and Neal did have an adventure today. They snuck out of their pen outside and Bailey got into ants. Neal didn't get far as he kept falling over. I got him inside and yelled for Terry to grab a wet washcloth. He got the ants off Bailey. Fortunately, he had just gotten in them, so he wasn't in too bad of shape. We continue to enjoy the relaxed lifestyle of full-timing. We meet people everywhere we go and the view out our window changes constantly. Well, Lazy Days has been a waste of time for us. . . well partially. We met some very nice people. . . all who told us NOT to buy from Lazy Days. Hah. Seems they have a good reputation for MAKING the sale, and then you're done. Gone and forgotten. They have 273 service bays here and the wait for service right now is 3 MONTHS. Well isn't that special. Not that we are buying for service. They play those little numbers games with prices. Won't tell you a price, won't tell you what your coach is worth on trade. . . want you to find something and put a deposit down, then they send you to the other guys who start playing with your money. And that's about it. I got a bit irritated today and said I wanted to know some figures. I wanted a "ball park" figure and I wanted to know what my coach was worth on trade. Sales gerbil got mad, but went and got a price which turned out to be quite do-able, but Terry said in the end it wouldn't fly anyway. The coach is not even available yet, supposed to come in tomorrow for trade. . . again, they wanted us to put money down on a coach they don't even have in yet. . . DO I LOOK THAT STUPID? DO I HAVE IMBECILE WRITTEN ON MY FOREHEAD? I had Terry look just to make certain. :-) Oh well, after that, everything went downhill. So we excused ourselves and went and found our friends. We spent the afternoon looking through coaches and going to Camping World. Had lots of fun. We are leaving tomorrow. Terry is tired of this buy/sell game. We do have a decent campsite. Wish they would have had a coach we wanted. Lazy Days and Lazy Nights! Well, we left Melbourne this morning and are sitting in our spot at Rally Park, next to Lazy Days in Tampa, Florida. We are here to look at new(er) coaches. Going to look at something a little newer maybe in a diesel. Don't know if we will find anything. Doesn't really matter if we do or not. We are going to be here for a couple days. The sites are very nice, small, but adequate and there is a lot to see here. We took a little road trip up to Cocoa Beach the other day. Went to the Ron Jon surf shop. Went out to the beach. The water has stayed pretty rough since the hurricane. The weather has been great. It has been breezy and warm with cooler nights, but it has gradually warmed up since we have been here. Yesterday while Brandon was at work we had Stanley Steemer come out and clean the carpet in the motorhome. It really needed it and we had some time, but it didn't dry nearly as quickly as we had hoped. So we took the dogs and went out for a ride. 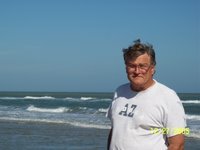 Drove along A1A from Melbourne Beach up to Cocoa Beach. 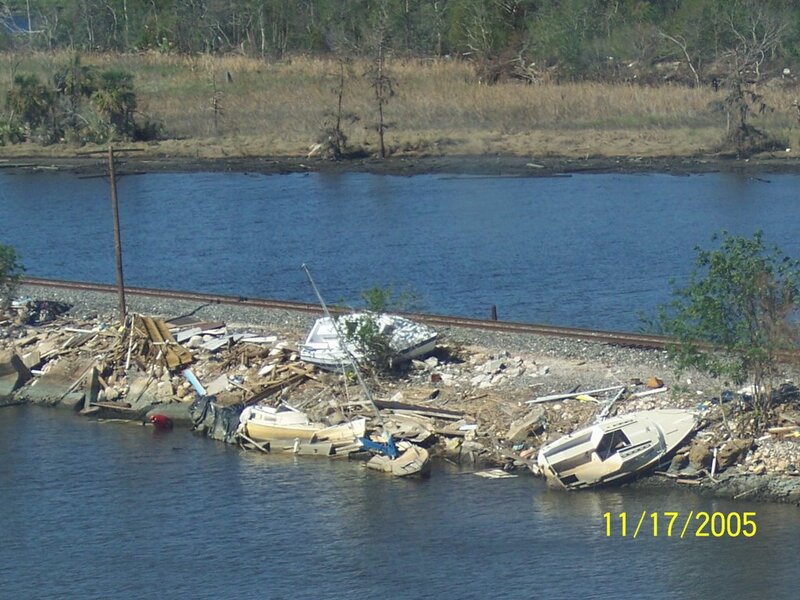 You can still see some of the hurricane damage from the hurricanes that came through here last year. And of course, there were hurricane force winds with Hurricane Wilma just last week, so there is a lot of debris. There also were 5 tornadoes I think Brandon said with Wilma, and we saw where that went through. Hopefully with hurricane season almost at an end, it is over for the year. 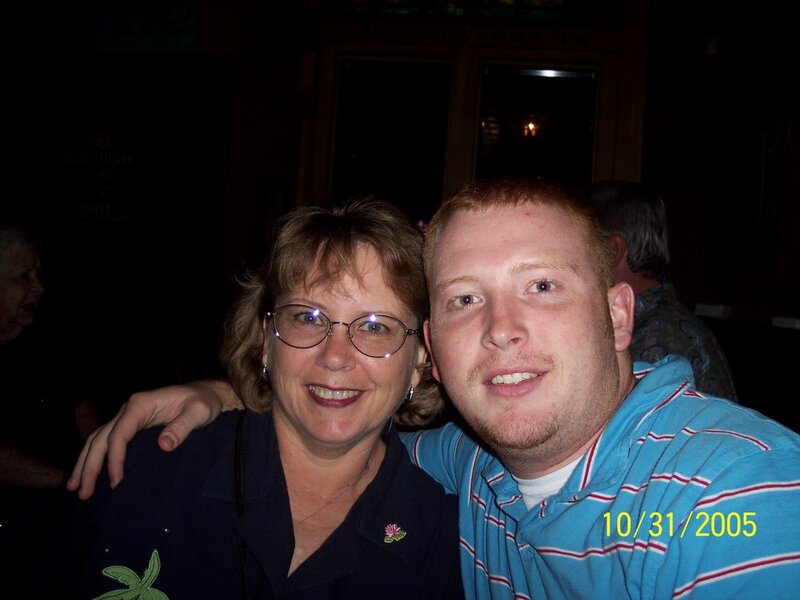 Last night we went to Meg O'Malley's for dinner after Brandon got off work. It is an Irish Pub/Restaurant and the food was very good. We had a nice time for our last evening out with Brandon. Tonight he came out to the park after work and we fixed burgers. He is gone now and we will be on our way tomorrow. Brandon has to fly to Dulles tomorrow for work. He recently changed jobs within Harris and now his boss is leaving so they are sending Brandon out to do some of the things his boss would have done. The park here has become interesting. When we arrived, no one was here as they had mandatory evacuations due to Wilma. However, some people told the park they couldn't get their units out, so they were allowed to leave them, but had to leave themselves. Turns out they are homeless, or at least "itinerant" workers who apparently have been here for quite some time. This park allows you to book for up to 180 days. But November 1, the snow birds have started moving in and they have most of the park booked for the winter. The rangers have been out here a couple times to get these people to move and they don't want to. The police have been here and today they have started to clean up a little. The have too many units on the sites and most of them don't have water in their units, so they are using a garden hose for everything. They really trashed their sites and we were a little worried about going away, but we haven't been bothered. Also this morning, the ranger came out and evicted someone who snuck in during the night without paying. He refused to leave, so the sheriff came and the guy left within 5 minutes. Apparently he is with a circus which arrived for 2 shows this week. We had decided that when we come back, we won't come here because we don't feel comfortable with this stuff going on. But there have been enough other people in here, so it really has been fine. Well, tomorrow morning we pack up to leave. The snow bird who rented our site for 6 months is here and right next to us. He is ready to move over when we move out, so we will make sure we give it a good going over. I forgot to mention that of the two couples we met, both the women are cancer (colon) survivors. One for 27 years and the other for a few months. I have started the Harry Potter series. Great fun, easy reading. I am on the third book now. Haven't had time all summer to read, trying to get the house ready to sell. It's good to get back into a book. Well, it's official. WE ARE HOMELESS!! Our house is sold, the closing was yesterday! The check is in the mail. The best part is that we have nothing to worry about in Mooreland anymore. One of Brandon's high school classmates bought it. He is a very nice young man and I hope he will be very happy there. His parents live just outside of town. We are very pleased that someone got it who we think will take care of it and keep it up as well. We are glad it was all done so quickly. We are camped at Wickham Park in Melbourne. It is a beautiful park. We have been here before. It was flooded by the hurricane and the dog park area has been pretty muddy. Poor Bailey never gets a chance to get out and run. One of these days he will and he will be happy. Yesterday we went up to Cocoa to the Ron Jon Surf shop. It's a neat place and afterwards we went out to look at the beach. One of these days I'm going to make Terry take his suit and we will get in the water. A lot of people were there. The days have been warm and the nights have been cool. There has been a steady breeze everyday and our air conditioning is not needed. Just very pleasant. Brandon is doing well. We spend part of every day with him. Tonight we are at his apartment because I needed a strong internet connection. See, the closing on our house was today! Yay!!!! And we needed to get some papers emailed to us and then we will print them out and mail them back. This calls for a celebration! Yay! Finally, we made it to Melbourne! We left St. Augustine this morning and headed for Wickham park in Melbourne. We called ahead and they were closed, but hoped to open around noon. Luckily when we got here they were open. 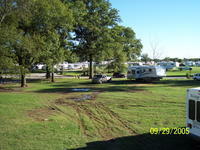 Some of their campsites were under water, but we did get one that was wet, but drained. We set up camp and life is good. Brandon came out after work and we fixed hamburgers for him and he brought our mail. Whew. Two weeks worth. They got much more rain down here and we saw a lot of flooded areas on the way in here. Brandon said Palm Bay was a lot worse. They are a bit south. We picked up a paper from Melbourne and the pictures of the storm are really bad. They also had several tornadoes. We will be here for a week at least. 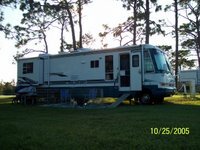 We are staying to get the documents from the sale of the house and then we are headed for Tampa and Lazy Days RV Sales Center. Well, Wilma is gone and now just a fleeting memory. This time the local forecasters were right on the money. They said last night we would get 1-2 inches of rain and 30-34 mph winds. That was exactly what we got. The rain was not even heavy. Don't have water standing around now, etc. 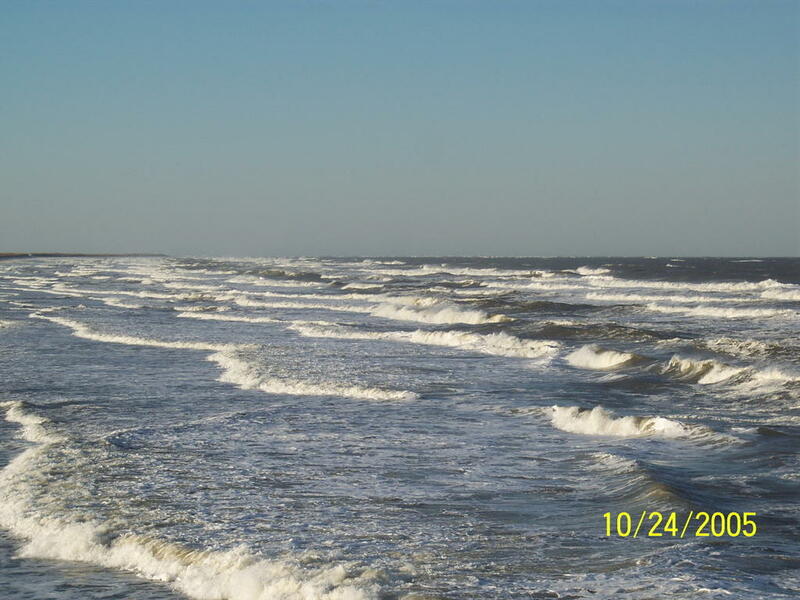 There was no wind until the hurricane was actually out to sea. We woke up to rain this morning, but no wind. I even thought we could have had our awning out. Brandon called a couple times. Melbourne faired much worse. Around 11 a.m. they had some tornadoes. The apartment complex where one of his friends lives was hit, but the friend's apartment was okay. It started clearing up after lunch and the sky turned blue and got really sunshiney. They said that would happen. Just hard to imagine you have this hurricane coming through and once it's gone, it looks like paradise again. Later this evening, we drove out to the beach. There was considerable erosion from this storm, which means the coast (a few miles out from where we are staying) got a lot more wind. 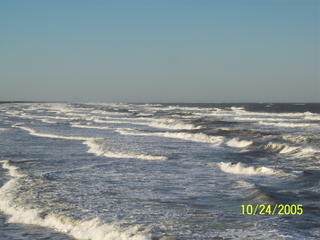 The winds were eroding the beach as we were watching. I took pictures of the surf. Quite spectacular. We were way out on the fishing pier when Terry got to thinking of all those piers we see crashing down from the surf. So we got our pictures and walked back. There was a news crew on the beach and a live cam on a pole mounted to view the beach. Tomorrow we are pulling out and heading down to Melbourne. No more storms in the forecast. We have to get our mail and wait on the closing papers for the house. It is sold and the closing is this week. Yay! Talked with a really nice lady this morning. She is from Punta Gorda. They just got done rebuilding their place from last year and now are on target for taking another almost direct hit. She said they are rethinking living along the coast. Her accent was different and while we have many Canadians in the park, I knew that wasn't it. She is German! So we talked about my German relatives. She acts and looks a lot like my friend Doris with whom I taught for 20+ years. Doris was also a German native. The storm continues to linger, but is now headed toward Florida. It is picking up speed which actually is good as it won't sit over one spot for 24 hours like it did in the Yucatan. Brandon doesn't have to go to work tomorrow, and they will decide tonight on whether he gets shipped out or not. Melbourne is to take more of a hit than we are. It is a little disconcerting, however, when the native Floridians who came here to escape the storm pulled up stakes this morning and are headed farther north. All reports we are getting become a little less threatening as the day goes by. We have experienced nothing yet except a little sprinking (ground still dry), breezes and cooler temps. We are anticipating more rain and winds up to 35 mph, which is less than they originally predicted. Most everyone here today is confident we have nothing to worry about and more people keep coming to take the place of those who left. Will let you know more as it happens. We are STILL in St. Augustine, Florida. Now that is not a bad thing. Today we went down to Daytona to the infamous thousand acre (well, seems like that) flea market. We walked the entire thing in a couple hours. See, when you live in less than 400 sq. ft. of space, it certainly makes a difference in what you thought you couldn’t live without! Last night Jacksonville got up to 5 inches of rain in some areas. Glad we weren’t there. The bad news is that the hurricane is still not headed this way, but they have started evacuations and have issued storm watches. Terry just told me that St. Augustine is actually in the hurricane watch area and Jacksonville is in the tropical storm watch area. Hmmmm. The storm is expected to pass quickly over Florida on Monday. I don’t know how they can predict it is going to speed across Florida when it has sat in one place for 24 hours. The campground is full again tonight and looks like hurricane parties are in full swing. A lot of people came in together and are sitting out. We choose to remain indoors away from the mosquitoes. We killed one that lit on Neal and you could have lifted footprints off of her. We did put out some candles and other bug repellants and they seem to work, but near dusk and dawn, the seem to be more active. I just wanted to remind everyone reading my blog, that because my communications, including my internet at the present time, are all cellular it is possible that when/if this storms creeps up this way, we could lose communications. If that happens, you will have no way to contact me and I won't have any way to post to my blog. Don't worry. Call Brandon if you are desperate for info. We do not anticipate any dangerous activity here, but that doesn't mean we couldn't lose our service. Verizon seems to be pretty big in Florida and if they take a lot of hits, we could have trouble. Don't panic. I will get in touch with some family member when I can. We are doing something different every day. 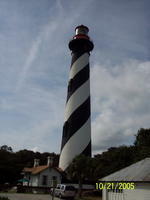 Today we visited the St. Augustine Lighthouse and museum. It was awesome. We also went to a shrine and went back downtown to old St. Augustine and went through the part of the old city where the oldest houses are. There are a few shops there, but mostly just old house and very narrow streets. When we got back to the campground, we noticed a "no vacancy" sign up. They have 115 sites and are full. A lot of refugees. . . er, evacuees here from the southern parts of Florida. I guess traffic on I-95 was pretty rough. There was a bad accident near here today, but we are safe here. We did noticed increased traffic on our road when we were coming back from sightseeing. Tomorrow we may go out and do something again, weather permitting. Tonight it started to rain a little, but very lightly. It was lightning out, so Bailey wouldn't go out. We are enjoying visiting with other campers. We all feel comfortable here just 50 miles south of the Georgia border, but will be keeping a watchful eye on the storm. That was made just a little more difficult when a new camper is now occupying the site next door and chose to pull up enough to block our satellite dish. That means Terry will have to reset it tomorrow if he wants all his stations. I'm betting he will move it as he cannot go long without his tv. I do want the weather channel back. Well, we went to the other outlet mall today to get our walk in. Then we went north of town to an authentic British Pub and had lunch. It was quite different and good. Brought over half of it home as we couldn’t eat it all. The weather is changing. It has been quite pleasant. . .warm, but not real humid. Today it was hot and really humid and clouds are beginning to move in from the south. At times it was sunny with really blue skies and a few white fluffy clouds and other times it was dark and gray with a breeze here and there. The storm is very slow moving. Brandon still doesn’t know if he will be sent out. . . they have pushed it back now for a few days. It’s not supposed to hit here until Monday now. And then it will be south of us. We will get plenty of rain probably. We are just driving around looking at different points of interest. Waiting on a hurricane is a lot like waiting for water to boil. We moved from the state park today. I am sure the mosquitoes hated to see us go. Terry believes he fed most of them in the park. We moved from A1A over to a campground between 1 and I-95. It is better landscaped and the dogs can actually be out and are enjoying their spot where they can see people coming in and out of the park. There is enough lighting even at night that Bailey isn't afraid to go out after dark. The park had a steady stream of RV's coming in today and they fully expected to fill up, but they still have a few spots. People coming out of south Florida are coming here because they think it will be safe. We are not sure. . . we hope so, but we took precautions. Before we set up camp, we topped off all fuel tanks, including propane, and filled with water, including some extra. We are on a full hookup sight, so we aren't using any of our resources, saving them in case we have to high-tail it out of here. Won't know that until about Friday. They are expecting winds and rains here. Melbourne (about 140 miles south) is expecting anything from 40 mph winds up to 80 depending on the swath the storm takes. Brandon won't know until Friday if he is bailing to run the network from Virginia. BTW, anyone can now post comments here, so if you want to comment, you may. You don't have to be a member. I do plan on adding pictures, but I have to get to a high speed connection to do that. We arrived here late Monday afternoon and are staying at the Anastasia State Park. We paid for 2 nights before seeing the place and quickly regretted that decision. It certainly is quiet enough, but we are camped in a “hammock.” For those of you who don’t know what that is, it is the really dense vegetation that is native to Florida. The loops we are on have what look like openings cut back just enough for a camper and not much else. Tucked back in here it is dark and infested with mosquitoes the size of canaries and lots of them. The dogs only go out long enough to do their job and come back in. I have to go out there with them because Terry attracts mosquitoes and he becomes a walking smorgasbord. We believe that is related to the meds he takes because we find this to be the rule no matter where we are. We did take off today and did a walking tour of St. Augustine. It is very interesting and historic. We saw the Huguenot and Old Indian cemeteries as well as the old city gate. We elected not to go to the fort this time as we have seen it before, but it is a very beautiful fort and very well preserved. There are many old interesting buildings and if you are ever in this part of Florida, St. Augustine is worth a visit. We are moving on tomorrow, but we don’t know where to just yet. We were headed down to Brandon’s in Melbourne, but Hurricane Wilma is currently in the Caribbean and knocking on Florida’s door. There are several models and ideas as to what course she will take and none of them good for Florida. We think our plan will be to hang out here in the northern part of the state so we can go north if we have to and wait until the coast is clear to run on down to Brandon’s. It may be the weekend before we start heading down there. Just hangin' out waiting on Wilma. 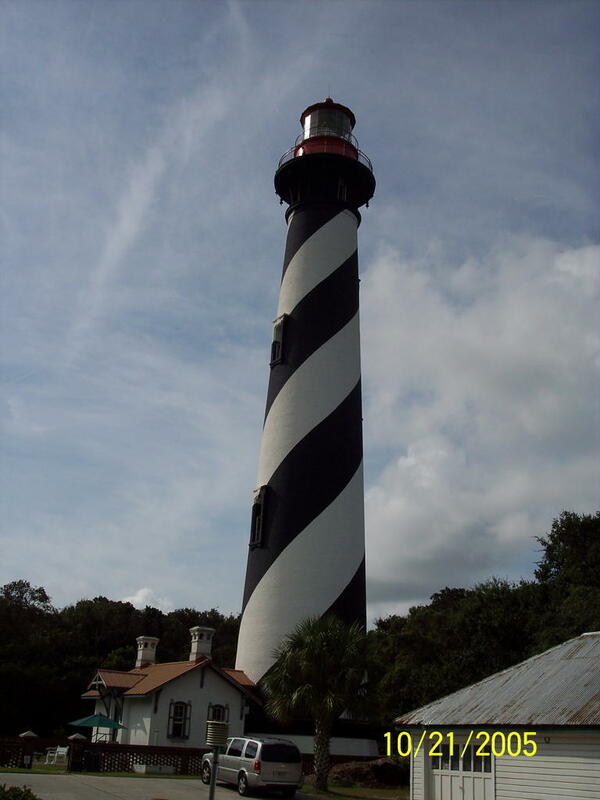 We are in St. Augustine, Florida, trying to decide what to do and where to go next. We are watching the weather and going to go find a place to hide from Miss Wilma until we think we can safely go on down to Melbourne. We want to see Brandon and will know more later in the week as to how this new storm will play out. A lot depends on other low and high pressure systems and what they do. Good Friends. . . Good times. 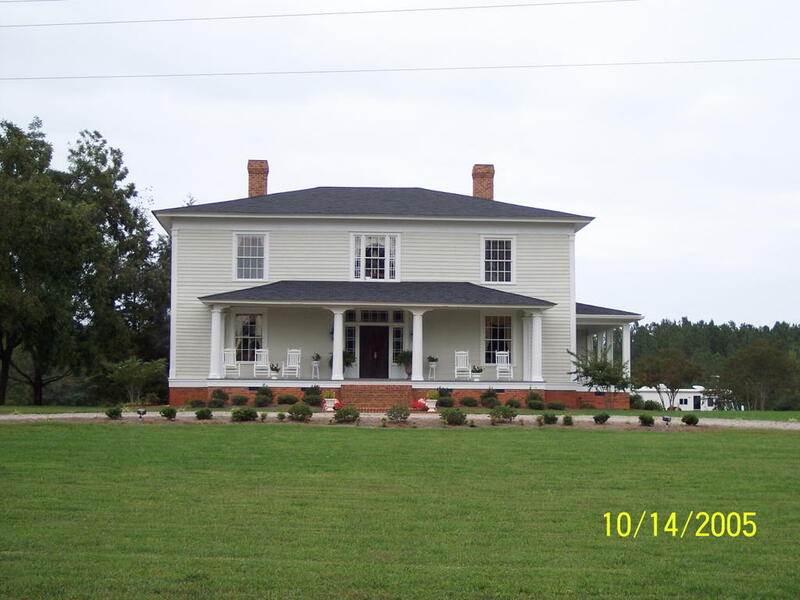 Friday and Saturday nights we spent in Kittrell, North Carolina. Friends who once lived in the subdivision with Terry’s parents moved back to their “roots” and have lovingly restored Mildred’s family home. . . Bambro Plantation. They have restored and upgraded this beautiful old home and are soon to be opening their Bambro Plantation Bed and Breakfast. Willard has set up a motorhome pad out behind the house where they lived in their RV for three years while re-doing the house. We parked in his spot there and had our own patio and chairs, enjoying a fire in the evening surrounded by beautifully landscaped grounds. There is no description I could give which would do justice to the house, so I will let the pictures tell that story. While there, we dined with other guests for breakfast. . . enjoying a wonderful southern menu complete with grits. I must confess, I had never enjoyed grits until I tasted Mildred’s homemade ones. . . and they were delicious. The house sits on a bluff and there was always a slight breeze. It was warm during the day and cool at night. Perfect. On Saturday, our hosts took us in to Oxford and showed us other historic houses which were in various stages of being restored. Oxford has quite a few antebellum-type homes and we enjoyed the tour. We also went to Henderson and along the way were shown other points of interest including the two orphanages founded after the civil war, one for white children and the other for black. Both remain in operation. This morning we bid our friends good bye and were on the road again by 8 a.m. The last three driving days, I have done all the driving, but it hasn’t been hard. Terry is recovering from his really nasty cold. I truly think he had allergies in Virginia. We had so much rain and even the air was beginning to smell musty and moldy and I think that is what did him in. He is much better, but still not up to par. We stopped for the day around 2:30 at Santee State Park on beautiful Lake Marion in South Carolina. It is a lake of 110,000 acres, but shallow, with a cypress forest in the middle of it. The lake is a dirty coffee color which they say is due to the trees. And the literature I picked up indicates there are alligators around, so I guess swimming is out. Hah. We have a nice campsite and a view through the trees of the lake. Probably will leave again tomorrow on our trek down to see Brandon. We are having warm days and cool nights. It has been perfect. Haven’t been bothered by mosquitos much since we left Jocelyn’s. Who says you can't have class in an RV park? Where else can you stand sipping martinis while watching the owner dig sewer lines? Full-timing does have its drawbacks. What, for instance, does one do about souveniers? Space is at a premium. Nothing has a home here that doesn't have at least one function, sometimes two. There just is no space whatsoever for "knick knacks." Yesterday while walking through the UVA campus we saw a shop and immediately we knew we had a solution. TATOOS!!!! Yep, I told Jocelyn we would just get a new and different tatoo everywhere we go. If they are small enough, we will have plenty of space and when we get down to the last few clean patches of skin, we will switch off. . . Terry getting one at one place, then me at the other. What a great idea! Then Jocelyn had an even better one. She reminded us of those maps you can buy to put on the side of the RV and then you color in each state as you travel. We could have those done on our backs! Hah. I hadn't even thought of that. The best part about the whole idea is that it only uses available space. . . no hunting for someplace to put the shot glass, or the spoon. I can't wait to show everyone where we've been. It is STILL raining here in greater Charlottesville. It has rained steadily since last Thursday. Ugh. Kind of puts the damper on any sightseeing, since the clouds and fog are IN THE WAY! It is actually pretty, but enough's enough. I've seen enough of fog and mist and ready to see some sun. We dog-sat for Jericho last night. We put our boyz to bed, then drove in with our dirty laundry and visited with our granddog while the laundry ran. We were there from about 7:45 until 11 p.m. The kids were due back around 1 a.m., so Jericho should have been fine until then. He was so excited to see us when we arrived, but then stretched out in the living room with his head just inches from the door. I know he was looking for "Mom and Dad." He is such a nice dog. Well, I would clean, but we keep tracking in dirt from the rainy grass and pavement outside, it would hardly be worth. I will wait until the sun starts shining. Today we went in to Jocelyn's and she took us to the University for a tour of the Rotunda. Actually, the Rotunda, designed by Thomas Jefferson, was designed as a focal point for what was/is called the Academical Village. It was designed as a village with student and professor lodging and classrooms all in the same area. It is quite an interesting concept, and while most of the rooms and structures are not used for their original purpose, they are used and are kept close to their original condition. The Rotunda is quite impressive and the tour was very well done. That part of the university, however, is only a small part of the now much larger university. It is right in the heart of Charlottesville and the terrain is very hilly. It is an effort to walk from one area to another. We have been walking every day, though, so we easily managed, but it would be hard for some, I would think. Yesterday we ran some errands. The kids had stuff to do to occupy their day, so we came back to the motorhome and just relaxed. It wasn't raining, but was misting a little from time to time. Everywhere we go it rains. Ugh. I am tired of rain. It is pretty at first, and the mountains are beautiful shrouded in fog and mist, but . . . give me a break! I like sunshine, too! Found out the "intermission" during the Stones concert last night was due to a "bomb threat." Can you believe that? Some people are really screwed up. They had to evacuate the stage and part of the stadium and bring in bomb sniffing dogs, but after an hour, the concert continued until just after midnight with no further incidences. Today we kidnapped Jocelyn and took her over the mountain through Waynesboro and on to Dayton, Virginia, to a farmer's market. It was really a neat place. Lots of good things to eat and we bought some stuff. The one market has bulk foods like E & S in Shipshewana. Not nearly as much, but a lot of spices, so Jocelyn was excited. She said they were so much cheaper, it would be worth a trip over there occasionally to stock up. We are hoping for some nicer weather so we can go look at some scenery. The fall colors are coming out down here and with all this rain, the streams and waterfalls are probably going to be spectacular. Met a guy today at the meat market who was excited to talk to "full-timers." Although he said we looked too young to be retired. Terry told him I am a lot older than I look. Hah. The Rolling Stones in Concert! Well, we didn't spring for the $350 seats, but we could hear the Stones playing from Jocelyn and Tom's deck. Heard several songs, including Ruby Tuesday. It was awesome. They are about a mile from the stadium. The concert was held at the UVA football stadium. Terry said the best thing about it was that we could probably see just as well from there (which was not at all) as we could if we were in the back of the stadium. Hah. I have some pictures of the traffic along the interstate I will post later. That was a mess. The Rolling Stones are in Charlottesville at the University for a concert tonight. We started in to Jocelyn's just after six and got into a major traffic jam with people who were going to the concert. Fortunately, we are learning our way around town and were able to bypass some of it and get here. We went to Lynchburg this morning to get some prescriptions for Terry. There is no Walgreen's in or around Charlottesville and since they are quite prevalent throughout the rest of the U.S., we decided to make the drive down there to get them filled. After that, we can get them refilled at any Walgreen's. Hoping that will work well for us. It rained on us today, not badly, but just enough to stay wet. We are expecting heavy rains tomorrow, probably remnants of Tropical Storm Tammy. Yuck. The mountains here are quite beautiful even with the rain. Then there is fog and mist and it is very pretty. We will be here until the 14th, so we should have some good weather for hiking and sightseeing as well. I know Terry wants to go to Monticello and a few other sites while we are here this time. Dogs are doing fine. They don't complain about anything. Jericho is really sweet. That is Jocelyn's poodle. He is such a wonderful dog. Let's Grandma spoil him. Even Grandpa does that too. Finally, pictures of the Escapade! We arrived at Misty Mountain Campground in Crozet, Virginia, late this afternoon. Decided not to check in with the kids yet as we told them we wouldn't be here before Wednesday. Had several things to do, since we will be here for 10 days. Decided we could set up more than the usual. We almost didn't get a spot as there is a "Rolling Stones" concert this week. Hmmmmmmmmmmm. Wonder if we could get tickets. Wouldn't that be fun. There are also some football games and the campground said this is their busiest month. We have been here before in October, but always at the end. So I guess next year we will have to make a reservation. We did get a nicer site than usual, but it only has electric and water, but that is okay. We will be conservative. Didn't have any problems today. Still cannot get the generator started, but since we are here for several days, Terry is going to have a look at it. Also we are going to try our luck at getting bloodwork done on the road, since he has to have it so often. We called a lab which has many locations throughout the U.S. and they told him to come in at 8 a.m. and they would have his results faxed to his doctor. So we shall see how it works. We are camped next to an interesting couple. She is retired military. 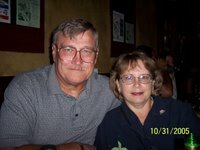 . . a nurse who did tours of duty in Korea, Vietnam, and Desert Storm. She is a retired Colonel. Very nice. It's been tough adjusting to this lifestyle. Sleeping in every day. . . . you know. Someone has to do it, it might as well be us. Oh well. Have to get up tomorrow for the lab work, so better get off to bed. I still haven't posted any rally pictures. When I get to Jocelyn's tomorrow, I will have a broadband connection, so will upload some pictures then. Thank you Du Quoin, Illinois, and goodnight! I forgot to mention the sendoff DuQuoin gave us the last night we were there. At 11:30 p.m. (yes, that's right, just before midnight), the police and firemen, in their vehicles. . 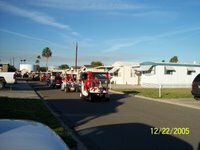 i.e., police cars and firetrucks, went riding through the fairgrounds, up and down ALL the roads with their sirens blaring, lights blazing and screaming. . . Thank you for coming! Now, I ask you. . . . were they thanking us? We left the Escapade around 10 a.m. this morning. While some people had to be pulled out by tractor due the mud, we made it the first time. We were the last of our group of Fulltimers to leave. There were 755 rigs at the Escapade and 1100 people. Met a lot of new people and added a few to our “Class of 2005,” bringing the total to somewhere between 160 and 170 rigs. We drove for several hours and stopped at Old Shawnee Town in Illinois. A couple interesting buildings and you could see where the main street once stood, but the town has actually been moved and all that remains were the few buildings. It is on the Ohio River and the town was subject to flooding several times, so that is why it was moved. We continued on and stopped for the night around 4:00 at Lynneville, Indiana, at a city park. There are motorcycle events here this weekend, so we may regret staying here. Hah. Not really. It must be like motocross as they have hill climbs, etc. Surprised we were able to get a site for the weekend, but plan to stay and get some laundry done, etc. Terry says, however, that since the dirty clothes don’t reach to the top of the shower, it’s still not time to wash. Hah. Earlier this week, we had two contingency offers on our house. We accepted one. Then the next day, we had an actual offer. We made a counteroffer and were waiting to here up until 6:00 last night. My realtor called at 6:15 and apparently the people who made the offer were not pre-approved and were not able to get funding through the lender they chose. In the meantime, another offer had been made and since the time had expired for the first offer, we were able to accept this second offer. I am quite pleased with this one as it is one of our son’s friends and classmates. He is a very nice young man and it will be a good house in which to raise a family. He is a local and his parents live just outside of town. The realtor emailed me the documents, I printed them, signed them, scanned them back into my computer with my new multi-function machine and then emailed them back. All this through the cell phone, because that was the only web access I could muster this morning. Things are going well. We are meandering on our way to Charlottesville to see Jocelyn and Tom. Hope all is well with everyone reading this. PS: I will add some pictures tomorrow, so check back. We had our first BOF (Birds of a Feather) meeting for the Fulltiming Graduating Class of 2005 this afternoon. We are officially an uncertified BOF group. Hah. Most of the BOF's are uncertified. Keeps things much simpler that way and fewer responsibilities. We had a nice crowd and then most went out to dinner. They went to a neighboring town and we decided not to go. Neal (our Wheaten Scottie) apparently had had a seizure while we were gone in the afternoon. Only one, but we wanted to get him cleaned up a little and watch him closely before leaving. He seems to be okay. The meds he is on keeps him well most of the time. In fact, we have only seen 2 seizures since March 28. And no clusters, which is remarkable. I gave him his meds on time tonight and gave a little extra to cover him. While we were here and everyone else was gone, the staff came around and said there was a storm coming in with 55 mph winds and wanted to know if the people were in their units so they could put their awnings up. They weren't, so Terry and I helped get them in. I believe they would have been okay until they got back, but later we had more storms, and they would have been trying to get them in with bad rain, etc. The ground has not totally dried out from the weekend, so we aren't sure just how successful we are going to be at getting the 37 1/2 foot Damon out. Not worried about the toad, as it is 4-wheel drive. They will have tractors to pull people out, but we don't really want to do that with the big motorhomes. No place to attach a strap and all have fiberglass caps on the front which could break. Oh well, just hope and pray the rain stops and we are fairly well dried out by Friday. We have to be out by noon. Would just stay if we could. They might have to rethink their strategy as I don't think they could pull everybody out. We did go over to the grandstand for door prizes at 7:00. They had to delay them because of the weather, and a lot of people didn't show up. Since you must be present to claim your prize, we thought we stood a better chance of winning, but no dice. Tomorrow we have sessions all day we want to attend so it will be busy. Should be a good day. I keep thinking I will get some pictures of the rally to post. I will try and remember to do that tomorrow. Oh, we got a couple contingency offers on the house this week. Accepted one. Then yesterday, we got a straight-up offer. There were a few things we didn't want, so we countered, but said that was the bottom line. We shall see. We may have sold the house. We arrived yesterday (Sunday) and were really disappointed at the apparently poor organization of the parking. We sat in the "holding pen" until they were ready for our group, even though we caravanned and were all here at the same time. This seemed to be the rule. It was pouring down rain and we were lucky we didn't get stuck. The grass needed cutting, which made it really deep and spongey every place we stepped. What a mess. But I would not complain about the site as we know when we come to something like this we are going to more than likely be in a field, but it certainly was not laid out where we were supposed to go. They had to close our row right after us because there was so much mud, rv's were getting stuck and they only had one tractor to pull them out. So after waiting to get parked together, they split up our group. Fortunately we got into our spot without any problems and got set up. We went to get registered. I guess I'm a little biased toward the Goshen Fairgrounds where the last 2 Fall Escapades have been held. Much nicer facilities, buildings are closer, etc. The main events here are held in the grandstand, which is outside. It is partially covered, but you can still get wet. And you have to climb stairs to every event they have here. Bummer. Oh well, we are among friends and that is important. We are having fun at the seminars and going through the market areas. Terry's buying up what he wants. I haven't seen anything that has caught my eye yet. We did get new badges. These say "home is where you park it," denoting our full=timer status. The rain stopped last night some time and we are finally drying out today. I'm not sure how many units are here. They anticipated a lot of cancellations with the fuel prices, but I don't think that happened. They are still searching for places to park units that are coming in today. Well, sleepin' in every day, nappin' when we want, riding the bikes, walking the dogs. Does it get any better than this?I think I'm going to like this full-timing, I believe. We had more campers come in yesterday. We visited with a lot of new people on our bike ride and then went to the pitch-in last evening which was right next door. Very convenient. Several of the people are going to be presenters or vendors at the Escapade. 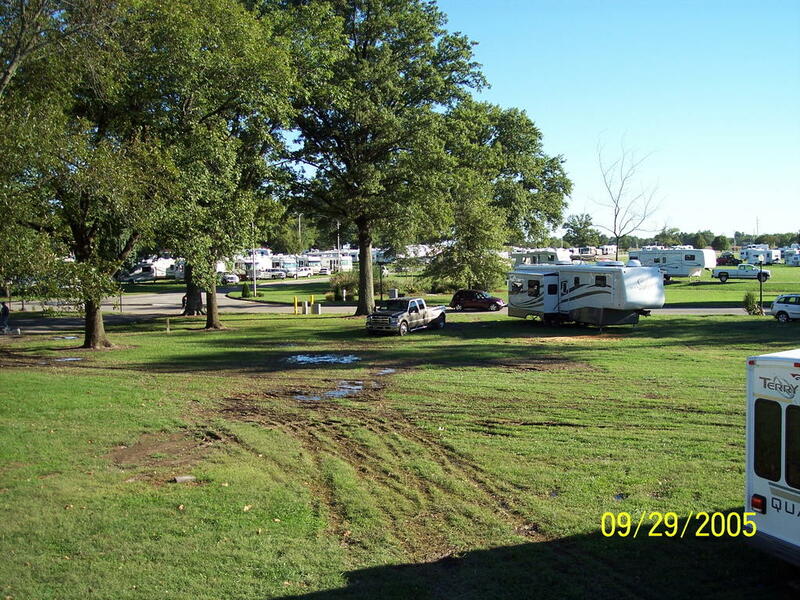 The campground is full of people going to the Escapade, as I am sure Wal-Mart will be tonight (Saturday night). We are enjoying every day. No worries about mowing the yard, etc. The house is being shown again tonight. Hopefully we will have it sold sometime soon. This morning at 10:45 we left the house for good, so I guess that makes us officially full-timers, although Terry says since we have been living in the motorhome for three weeks that it started back then. We headed out to the state park to dump the holding tanks. I went ahead first in the “toad” while Terry followed behind me in the motorhome. He had some traffic, so the distance between us got a big further. I pulled into the state park road and since there was no traffic on that road, I sat and waited for him to catch up. I was watching in the rear-view mirror. Imagine my surprise when I saw the Damon in the distance fly right past the state park road. I have to tell you. . . my marriage flash before my eyes. He has LEFT me behind! I started to reach for my phone and then realized that he had my phone on the dash in the motorhome. I had no phone, no radio, etc. I drove back out to the entrance and turned west behind him. Just as I did that, I saw a motorhome coming toward me in the distance. I thought, “That must be him. He realized his mistake and turned around.” So I made a u-turn and went back to my appointed spot to wait. Once again, the motorhome flew past the state park road. It wasn’t him. So back I went, turning west again on 36. This time I got down to the high school and there he was. He had turned around in the school parking lot, having realized soon after he passed the road that he had missed his turn. We turn back to the park and our next attempt at leaving was better. We were at least BOTH in the motorhome, both phones and both radios with us. It took us about 6 hours to reach our destination. . . Rend Lake in Illinois, just 20 miles from DuQoin, where our Escapade will be next week. We met up with our friends, had some supper, and join the group at the “campfire” later. Though our campfire was really citronella candles as the humidity is so high and the temps hot enough, no one wanted to build a fire. Plans were made for the pitch-in Friday and the caravan to the Escapade on Sunday. Surprisingly, there are only a few of us who have been to previous Escapades, the others are all Escapade neophytes! They are in for a great surprise. It will be the most fun for all. I believe everyone in our group is a full timer, which makes for a special bond among these homeless friends. 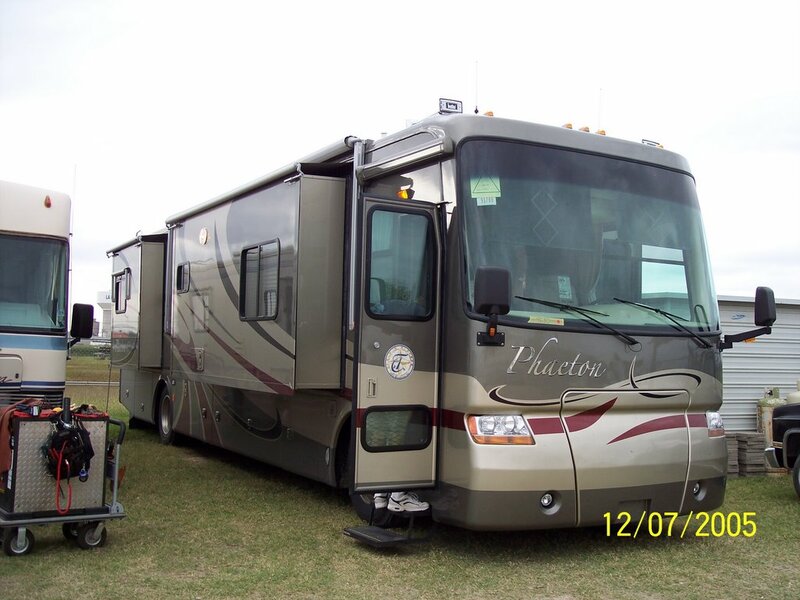 Tomorrow, we are going to tour the “Odyssey.” This unusual motorhome can see seen on the website. I have been intrigued by it since I first saw it on line and it is parked not too far from us right now and the owers are in our group. Looking forward tomorrow to a day of fun and relaxation with the rest of the full timers. T minus 1 and counting! That's right. . . just one more day . . . today! And then we are OUTTA' HERE!! Yesterday we drove back one last time from Goshen, having delivered our last load safely. . . mostly yard equipment and tools. This is our last day in Mooreland. Today we are seeing one last doctor, then storing the boat, jet ski, then the Sport Trac. I hope to wash the Tracker and the motorhome. Want to make a good impression on the rest of the full-timers. Tomorrow morning when we wake up, we will batten down the hatches and start rolling. Probably stop at Marvin's for propane first. Cheapest place around. He is a farmer here in the county and has a propane gas business as well. Wonderful guy. Irene continues to show the house. Had 2 showings yesterday and is confident that she will get it sold. We are headed for Illinois for the Escapade, but meeting up with friends first for the weekend before driving in to the rally. Should be a relaxing day today. Have several things to do, but the cleaning, sweeping, trashing, etc., is done and overwith. Will now start focusing my entries on where we go, what we see and people we meet! Well, the Jeepster is history. The new owner got here early today and had plenty of help. It was clear they had done this before and they wasted no time figuring how they were going to get the job done. And they did get it done. Took a little time. The new owner has a Jeepster his wife drives and is building a Jeep pickup. He was very happy with it. So now I am inside finishing the dishes for lunch. I cleaned the carpets in the house this morning. They look much nicer. I will do the ones here in the motorhome tomorrow just before we leave to take the last trailer load up north. That way it will have time to dry before we get back here. I will get back out to the garage and finish sweeping the barn out where the Jeepster sat. Later today we hope to take the boat over to the storage barn. Back home again in Mooreland, but not for long. Plan to make the last trip north with what meager possessions we have left sometime this weekend. Maybe up and back in 2 days. Ugh. But that will be it then, hopefully. The VW is gone. The Jeepster is supposed to be picked up Thursday or Friday. Makes a big difference when those are gone. Boat and jetski go to storage then and perhaps a car. Spent today in Indy visiting with Terry's doctors. All is well and no big objections to us taking off for 6 months, so we should be on our way soon. Well, we can see light at the end of the tunnel. House is 99.9% cleaned out. Just have some towels and washcloths for our daily showers. Have all but one bay of the barn cleaned. Still have stuff in them. One bay is the Jeepster and parts and another is the VW and parts. Both are up for auction on ebay and due to finish tonight. They are to be moved out some time in the next week, so that will leave most of the barn empty. Still have the boat to go. Terry has to replace the one part he had machined, then fog the engine, then it goes to storage. The upstairs has a few boxes and that is it. So I do believe we will get it all in one more trailer load. We had a dumpster in this week and have it about full. We arrived back in Goshen tonight with another trailer load. Going to sit and watch the race tonight and unload tomorrow. Will be signing a lease tomorrow with our new tenants and that will be finished. Do have a few things to do on the apartment yet, but will get that tomorrow morning probably. Everything seems to be falling into place, although I would like to have been at this point a lot earlier. It's been a hard summer with trying to clean out the house we've lived in for almost 30 years. Haven't had much time to visit with old friends or reminisce. 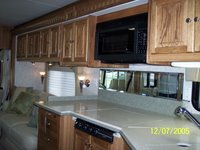 We did spend time in the last 2 weeks working on the motorhome and rearranging things in there and taking out what we were sure we wouldn't need. Don't have much room for even what I want to take, so am having to re-evaluate periodically. We have about 12 days before we leave. Am anxious to be in the position to just stop and "smell the roses" instead of always hurrying to get one place or another. I see all the ads for fall festivals and activities and wish we could partake, but I guess we will soon be able to do that. Well, we are back in Mooreland AGAIN! Going to get another load into the trailer. We figure we have another 2 perhaps 3 loads to go up north yet. One load will be the John Deere and the air compressor, etc. But we are definitely getting down to the wire. I unloaded the refrigerator last night after we got home, so we are cooking meals in the motorhome. We are just showering in the house now. 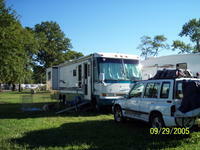 We have our motorhome in the yard, awning out and the dogs' pen out now. A lot easier at night if they want out. We don't have to go running all over the yard in our nightgowns looking for them! And they get their fur wet if they go into the yard at night. Yuck. We have to get this trailer loaded quickly and back to Goshen this week. We are signing the lease with our newest tenants on Sunday. Everything then is rented. Our great adventure begins September 21st! I can't wait. We started out this week in central Indiana working at emptying the house. . . a seemingly never-ending task. But we ARE making headway. Met with Irene, my friend and former colleague who now is in the real estate business. She showed the house on Friday, twice actually, to the same person who brought back a family member for the second go-around. It seems she loves it, talked a little with a neighbor, and it may be that we will get an offer this week. Wow. Thanks, Irene. We brought another trailer load to the house in Goshen yesterday. Worked all day at unpacking what we are leaving here and sort through stuff. Suffice it to say, we will be having another yard sale next year to get rid of even more stuff! This evening Mom and Dad came over and we chatted a bit. I took them over to look at the apartment we are re-doing and to see the new countertops. They are beautiful. While we were there, the new tenants arrived, just doing a drive-by. I invited them in to see the new countertops. Turns out Dad knows the fellow from years ago. Small world. 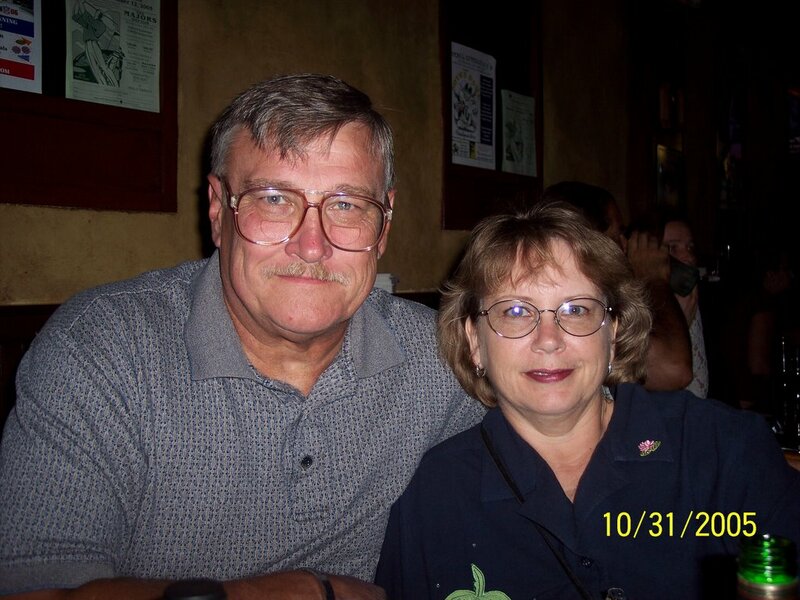 They are a very nice couple and I believe they will be an asset to our little tenant community. That makes all of our rentals rented and we are pleased and happy with them all. We are going to work in the apartment tomorrow and try to finish up a few things that need doing. Then we are headed back down to Mooreland to get another trailer load. We figure we have 2 more loads. Hopefully we can get it all in. One of the loads will be the John Deere and the air compressor. Well the garage sale was a success. Not as much business as I would have liked, but we sold a lot of stuff. What we didn't sell, we took to Good Will. 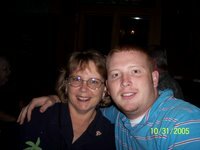 The best part was that my Mom and Dad came every day, starting on Tuesday and helped set up, mark and manage the sale. We had a really good time being together. My sister came for 3 of the 5 days and it was great to see her and spend some time with her as well. We got a lot of stuff cleared out of the basement. That is where we have been hauling and storing everything from this house. We got about as much out as we could at this time. Next year when we get back from spending the winter months in WARM weather, we will start going through it all again and actually find a home in the house for stuff we don't want to part with. But at least the house is liveable and I don't feel like I have to walk through a maze anymore in that basement. We are back in Mooreland now. We are living in the motorhome and making the last push to empty this house and get it on the market. I called my friend, Irene, yesterday who is a realtor and she is coming out Wednesday to talk about the house and get it listed. I hope we can get it sold soon. Plans are to leave the 22nd of September for the Escapade in DuQuoin, Illinois. For you "non-rv'ers," the Escapade is a big rally of people in the Escapees club. 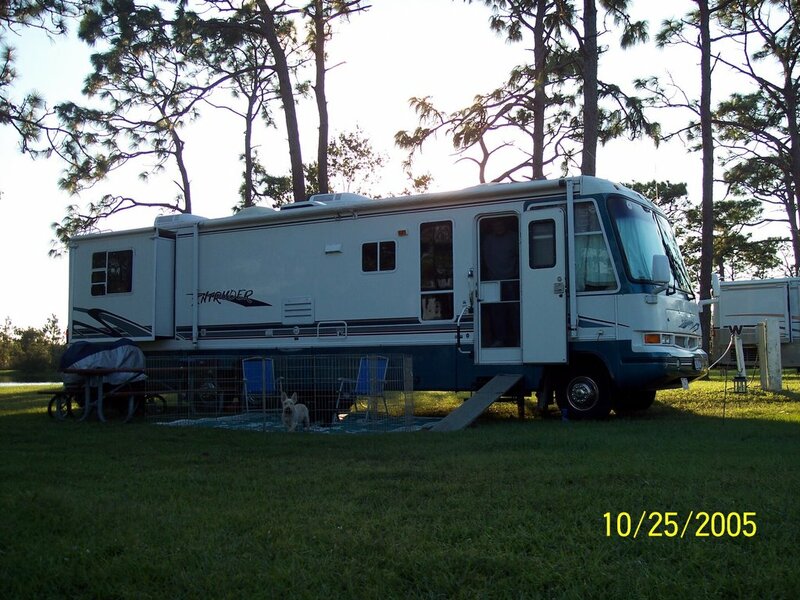 Escapees is for people who love the RV lifestyle. A lot of Escapees are full timers as we now are. I must get moving and get things packed up. Time is getting short and we must get this done. The kids left yesterday morning on their trek back to Virginia with their new dog in tow. He is such a sweetie. Great Grandma and Great Grandpa even came to meet him. I think they wanted to see the kids, really, but they got to meet Jerrico as well. He sure is such a sweet dog. Loves everybody. Barks loudly when anyone strange comes in, but then wags his tail and licks them to death. Once when the carpet layers were here, I went looking for him. He was on the floor on his back with the carpet guy rubbing his tummy. Such a watchdog. Well, we are getting ready to take another load to Goshen. Garage sale is this week, Thursday, Friday, Saturday. Hope we get rid of a lot of stuff. Mom is coming over tomorrow to help mark stuff. The barn is beginning to look sparse. We have hauled out enough stuff that it is beginning to have empty areas. How strange after 30 years. We had new carpet laid in the house and it was finished yesterday. So we are not putting the furiture back in. We have 2 lawn chairs in the living room. The other stuff will go to Goshen, but we don't have room for it today. Trailer is FULL mainly of tables and sawhorses for the sale. It will all be pitched afterwards. I am beginning to see the light at the end of the tunnel. Hope it continues. Some guys are coming at 9 a.m. to load a couple of Terry's saws for the sale at the fairgrounds. That will happen when we are gone. Terry told me to call the realtor and set up an appointment for a week from today. Yay!